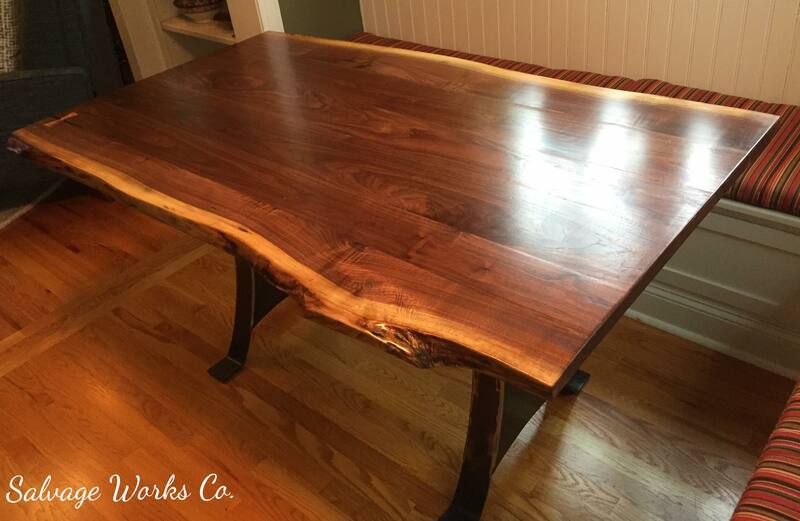 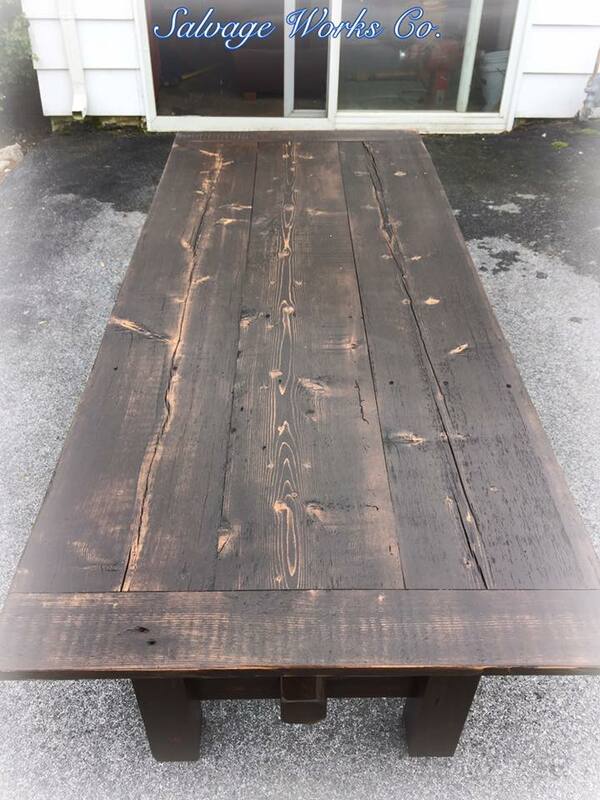 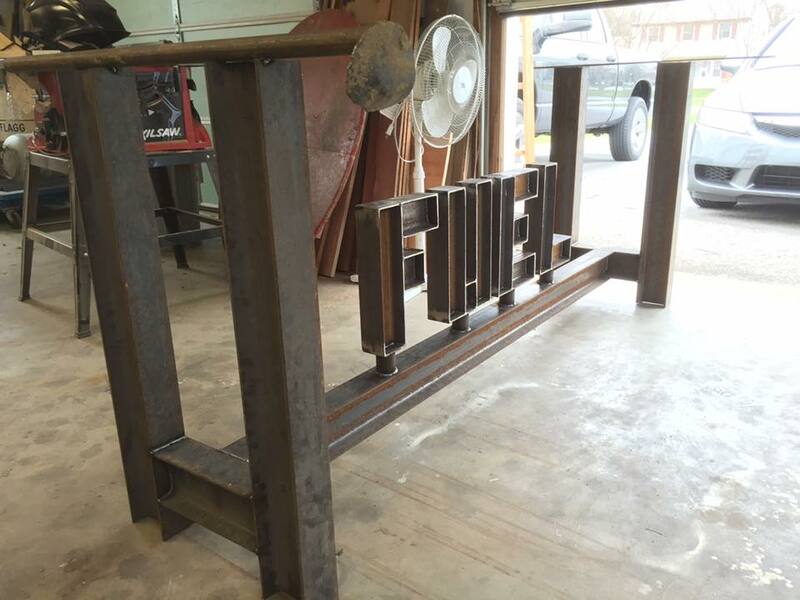 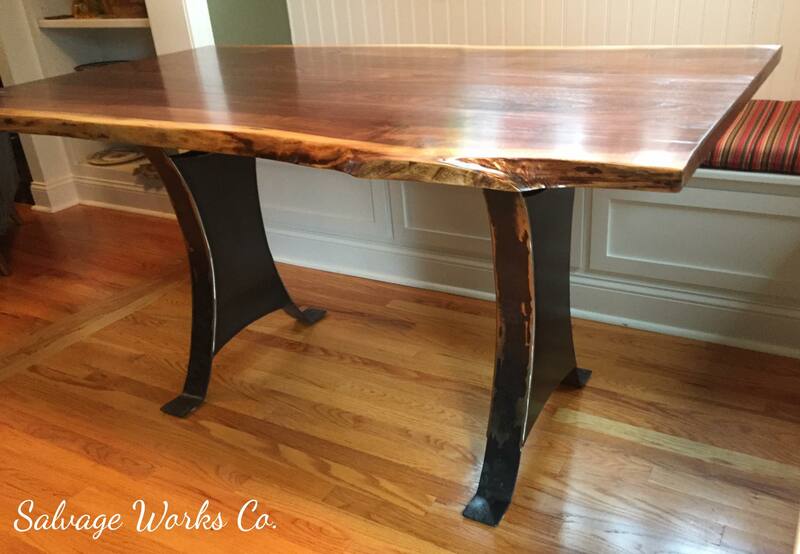 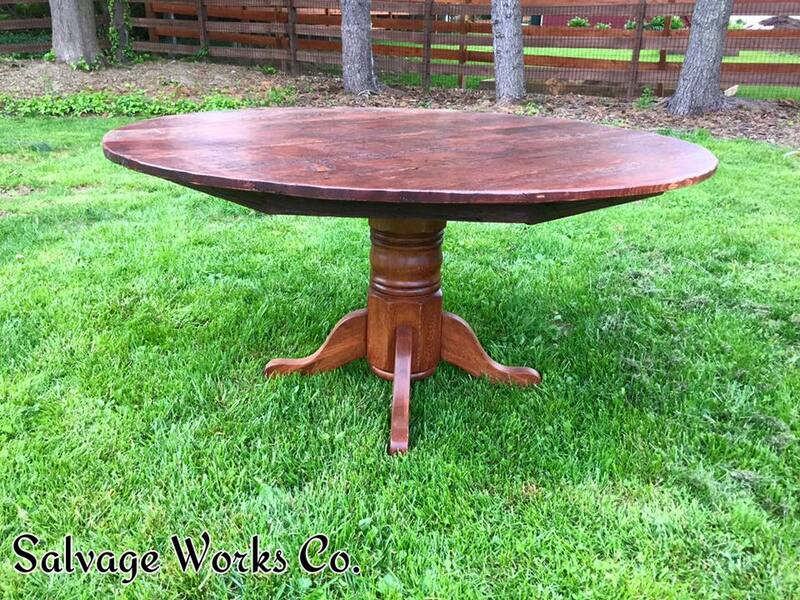 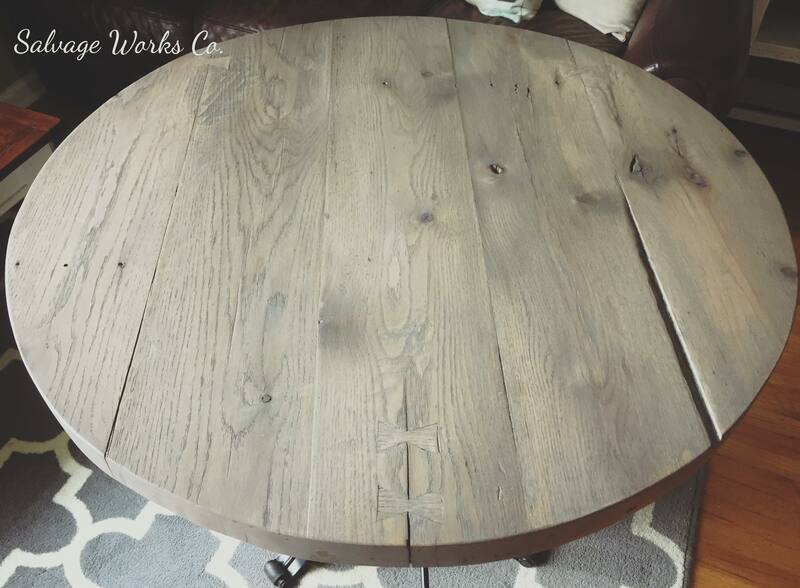 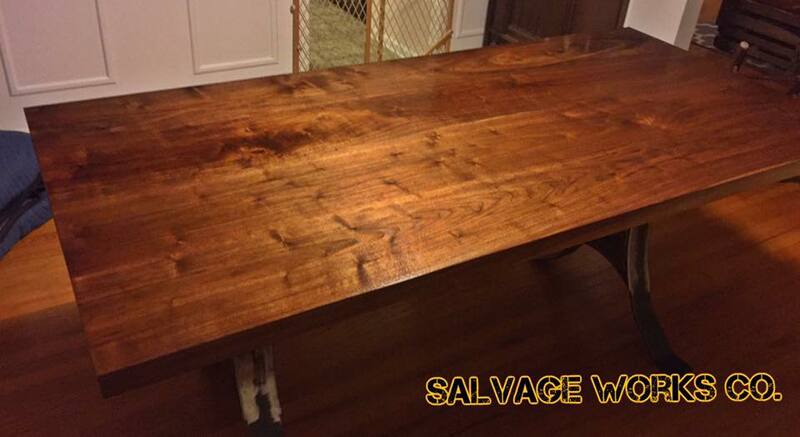 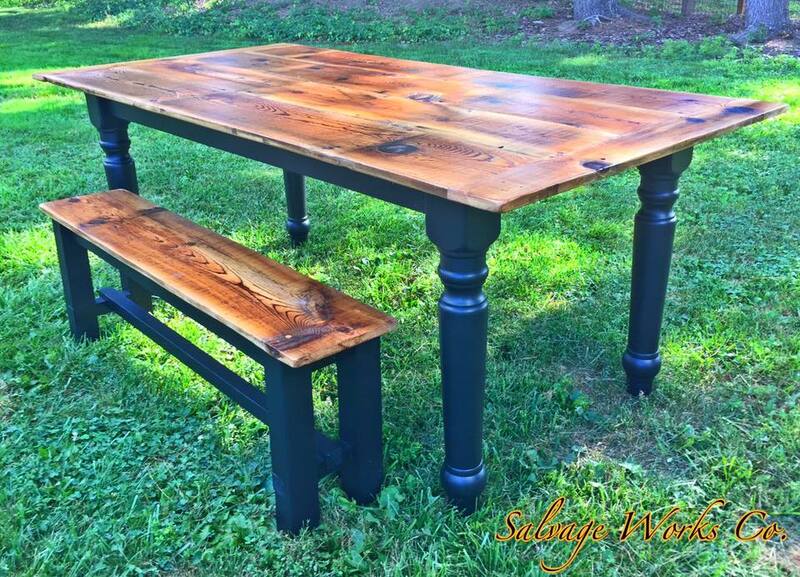 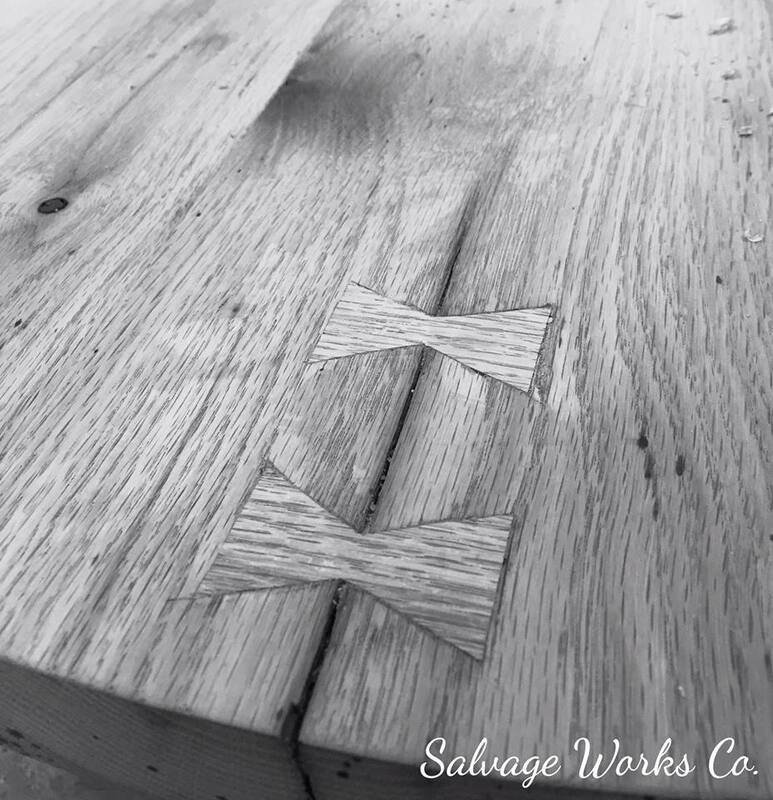 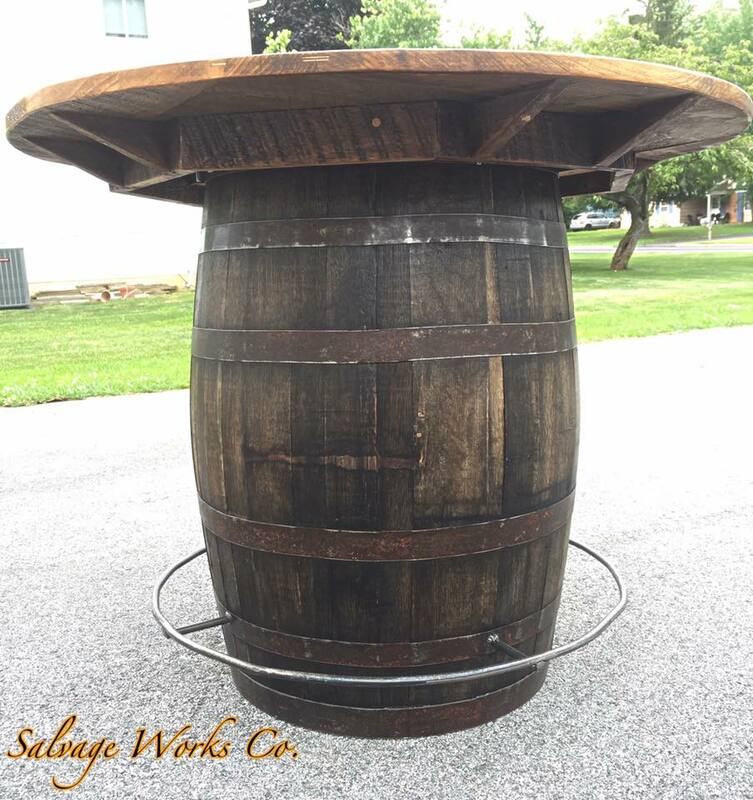 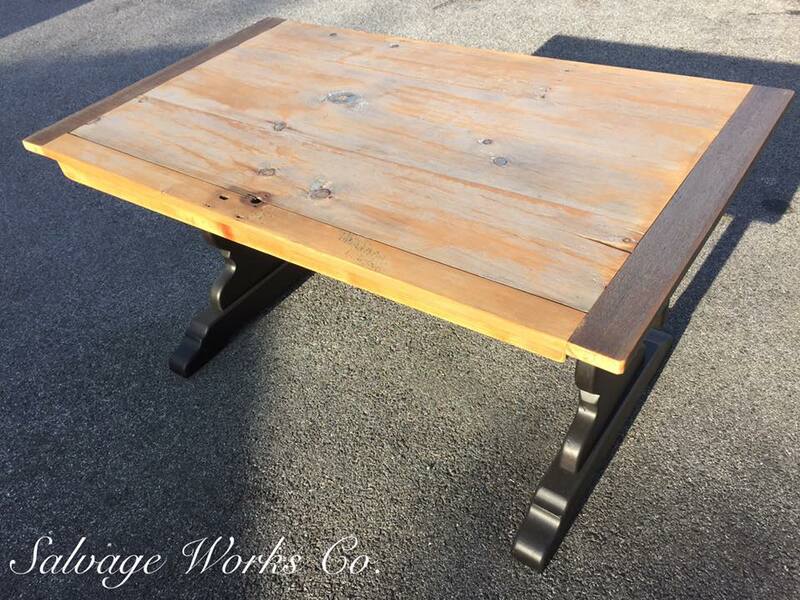 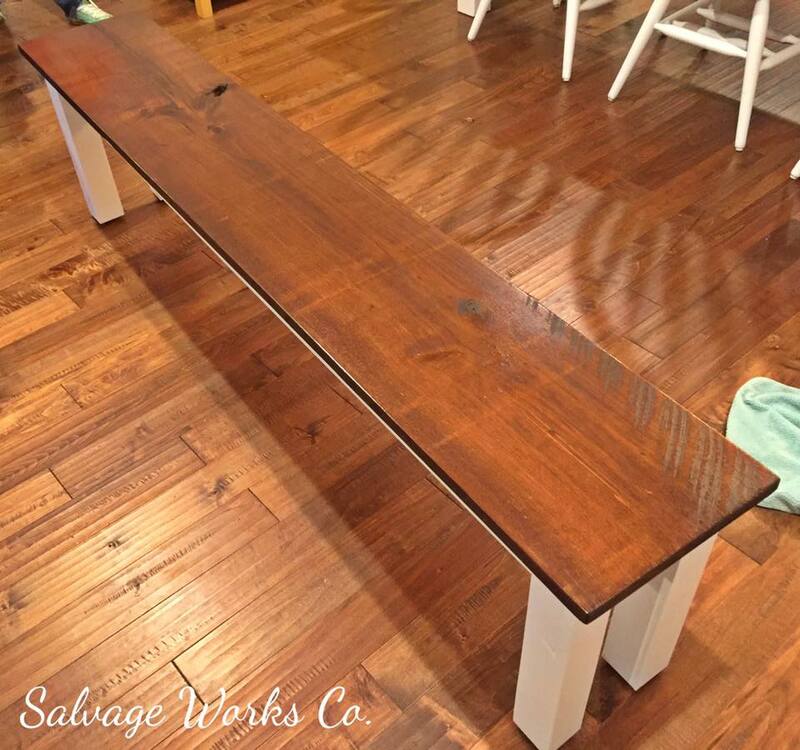 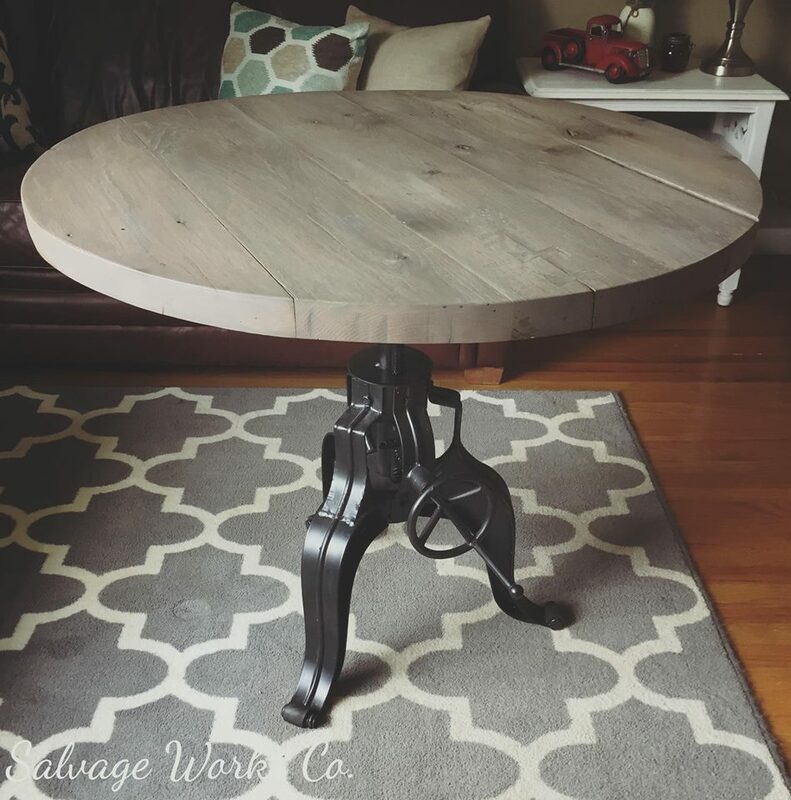 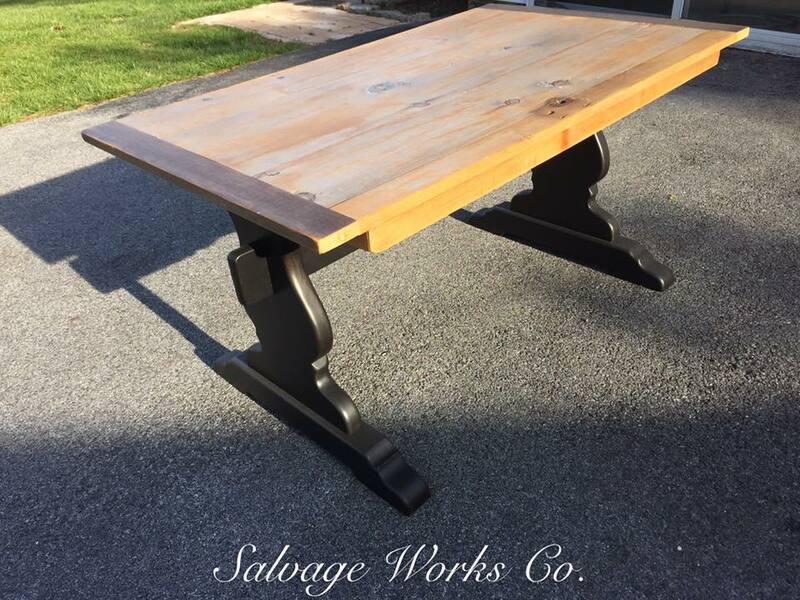 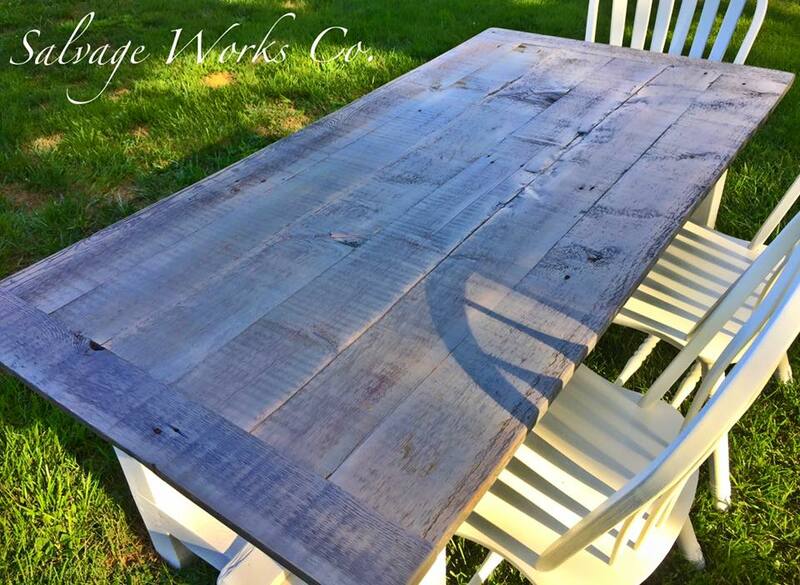 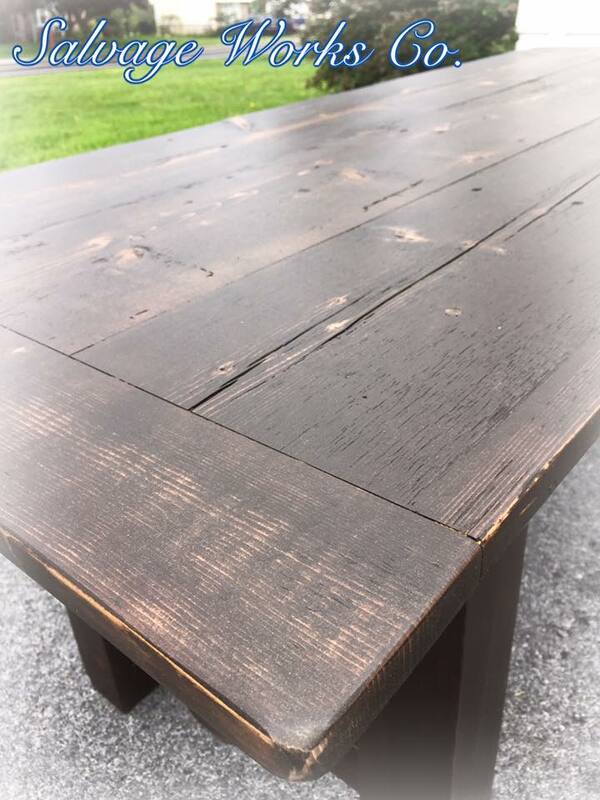 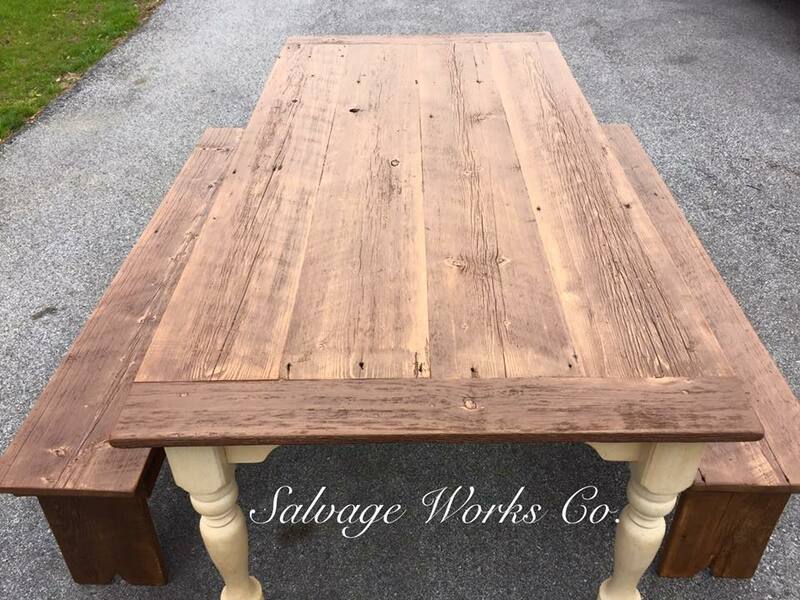 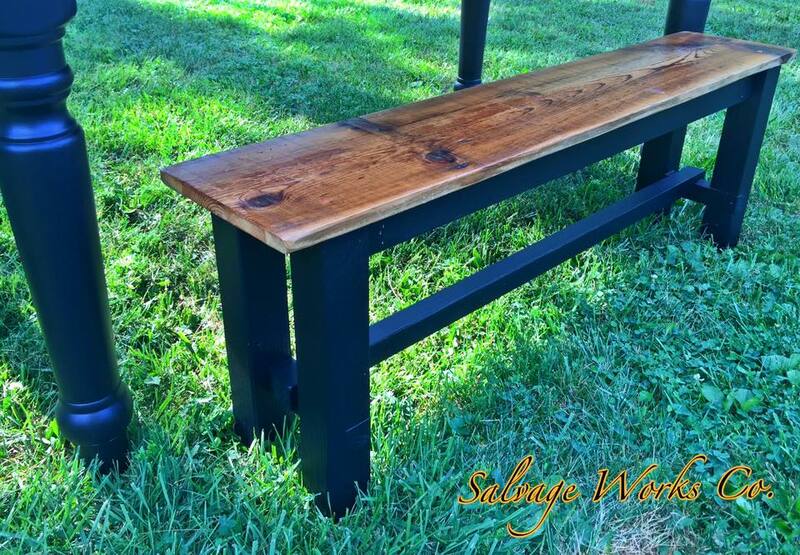 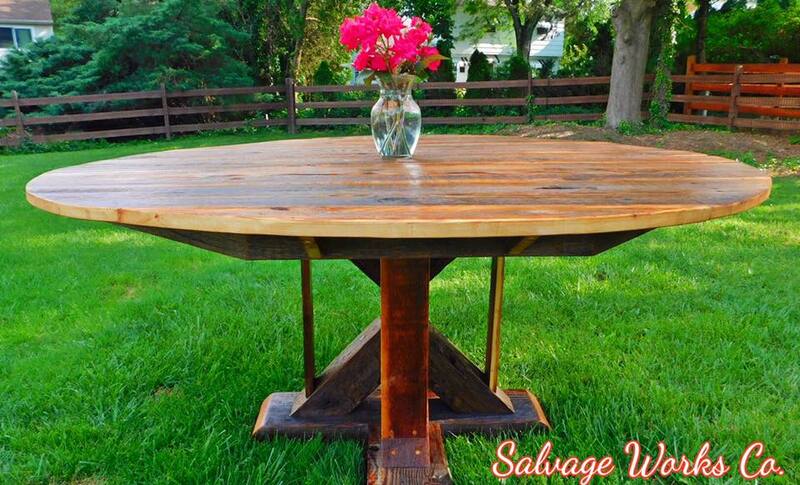 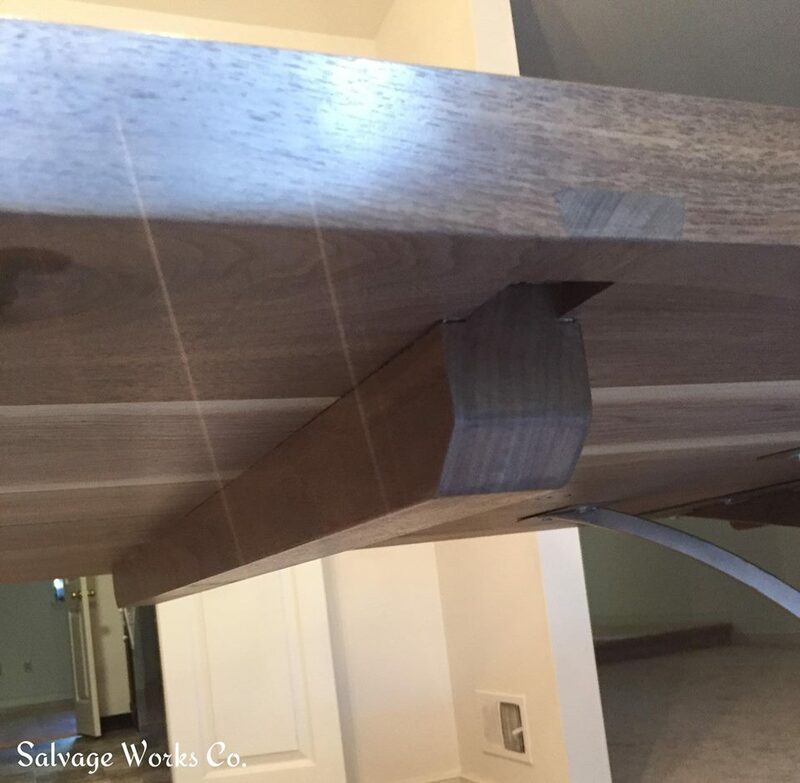 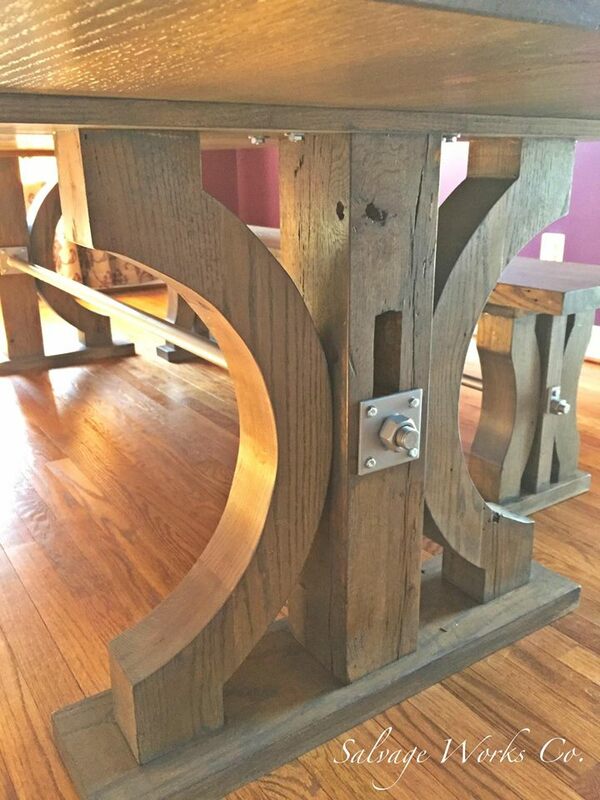 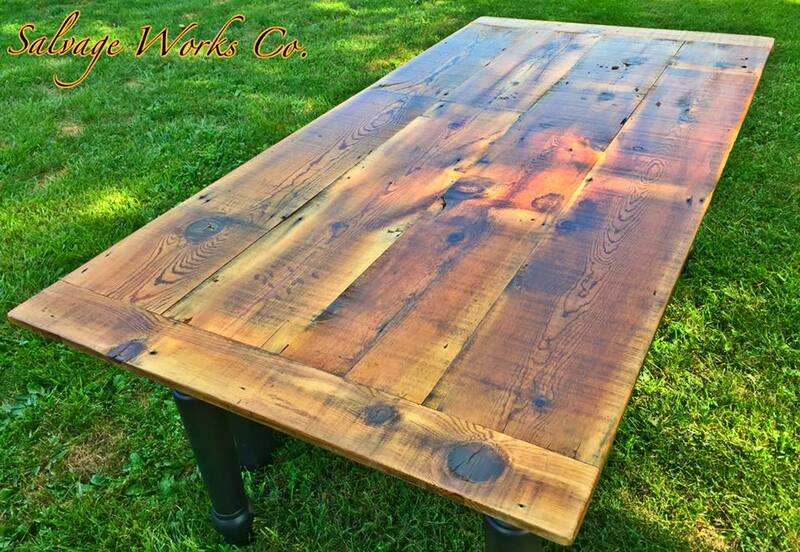 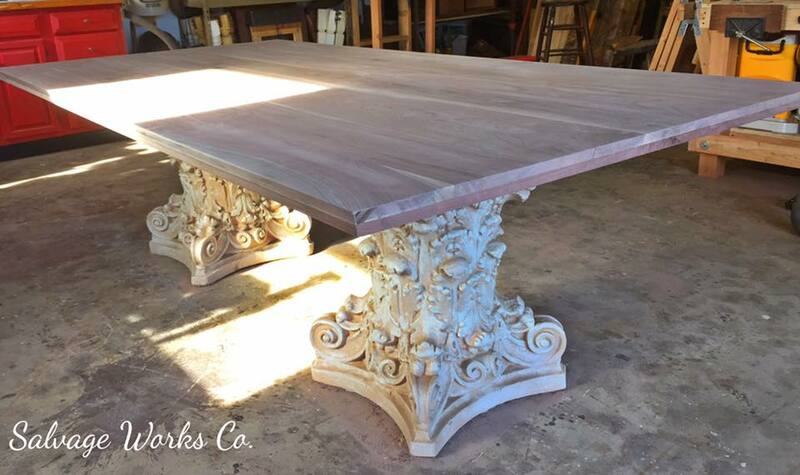 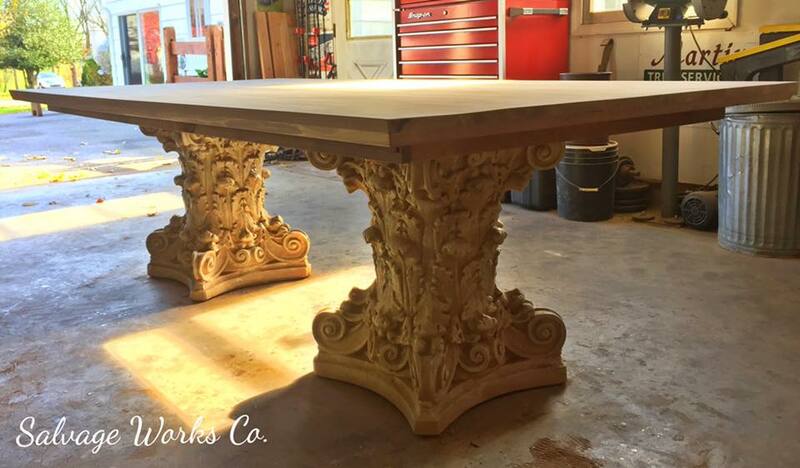 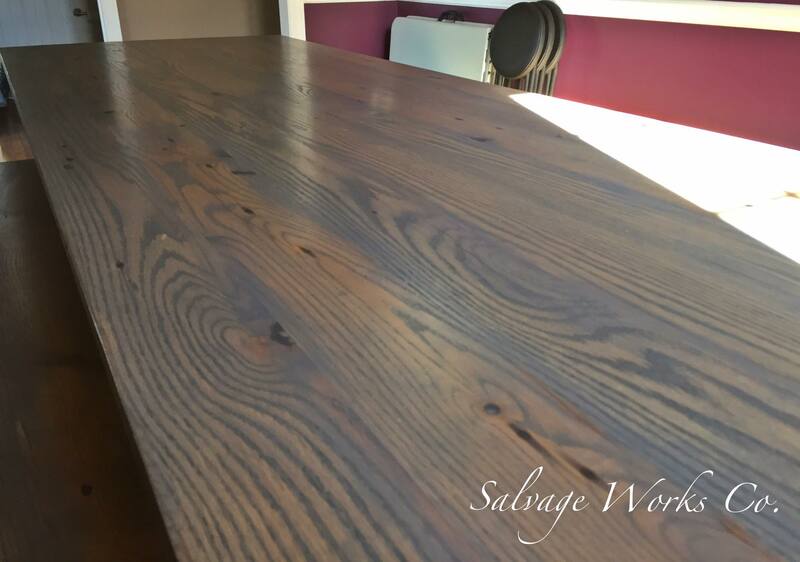 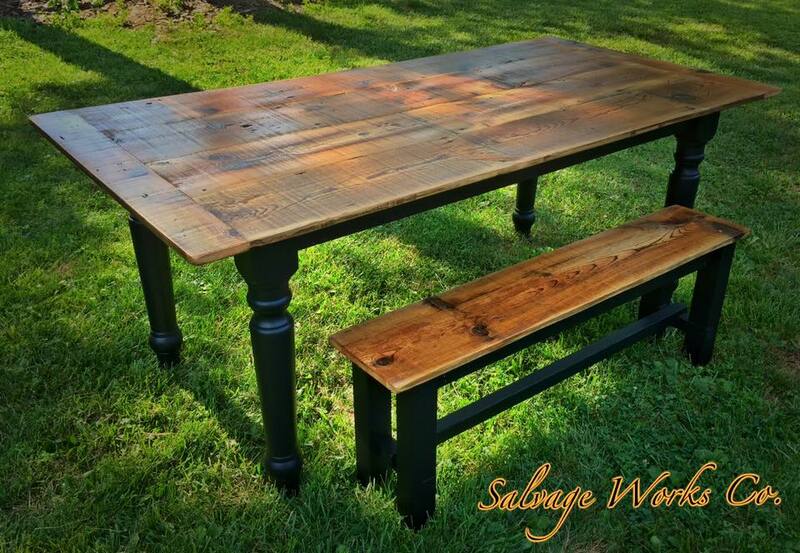 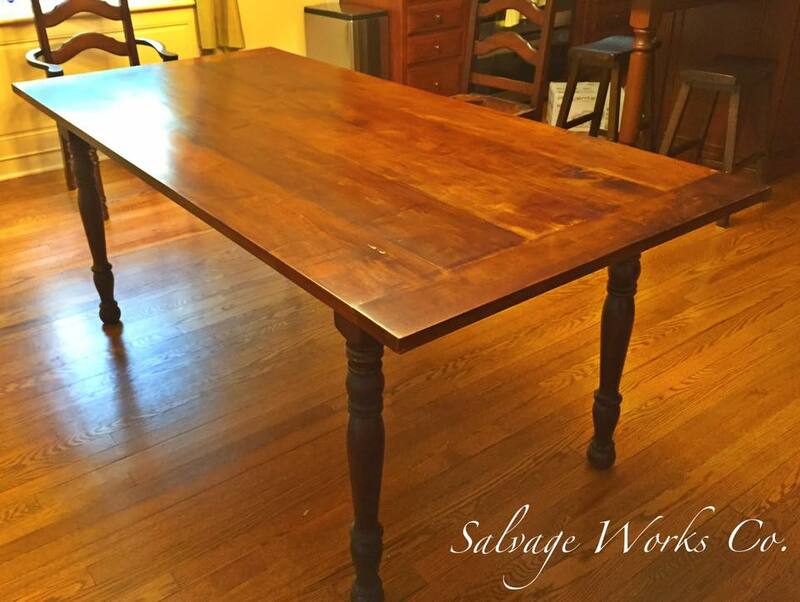 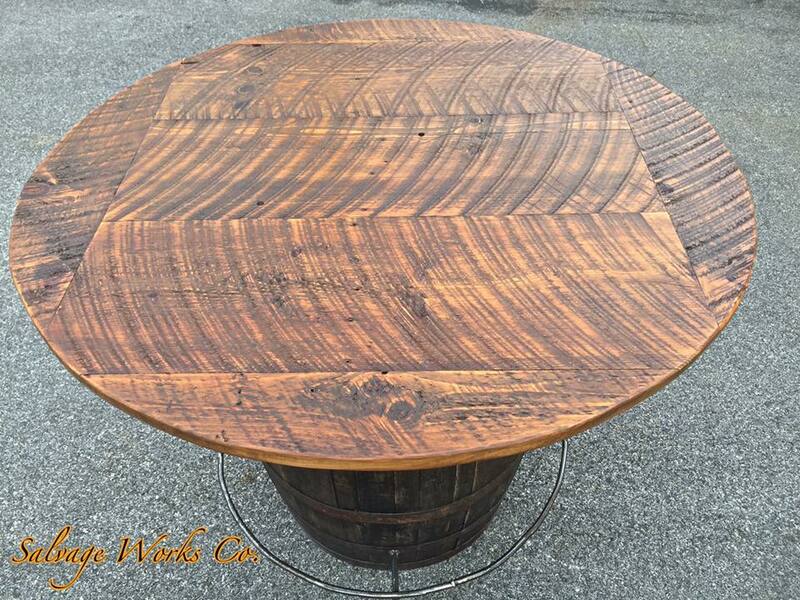 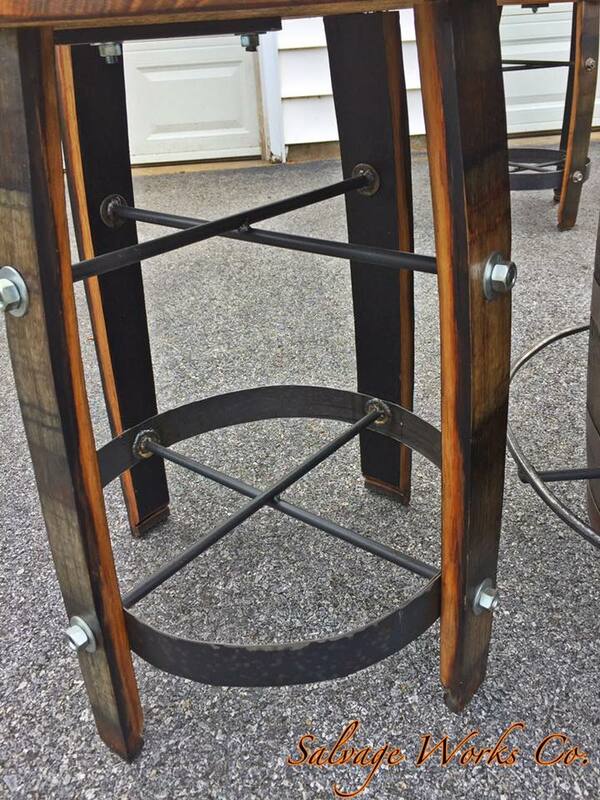 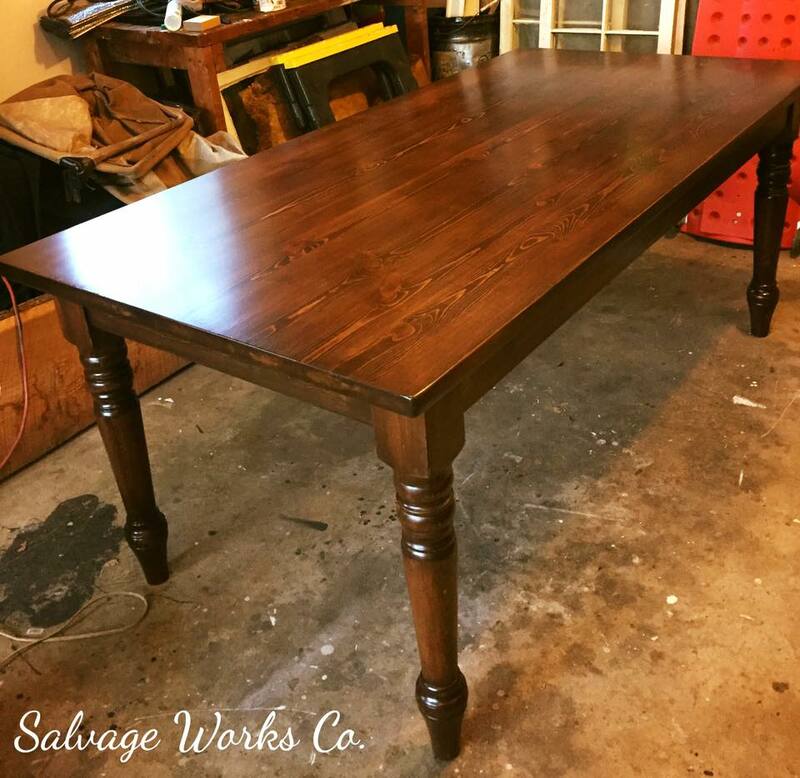 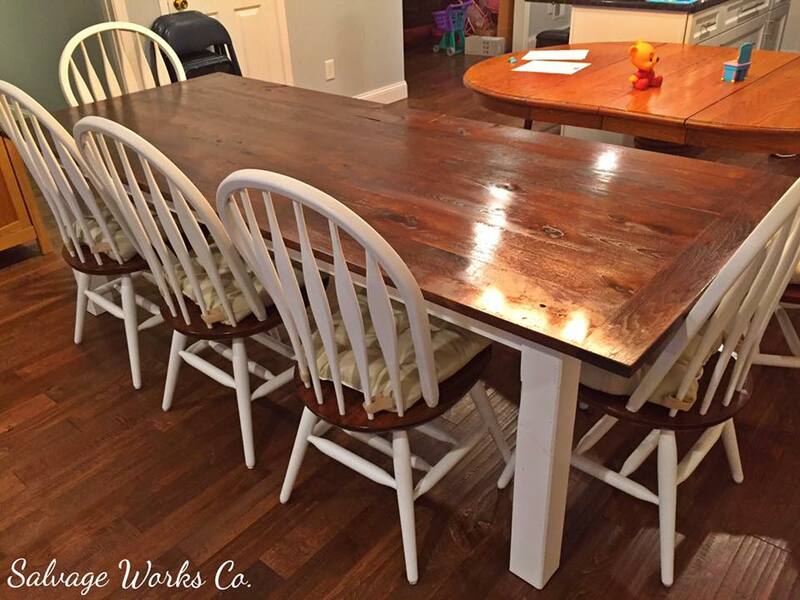 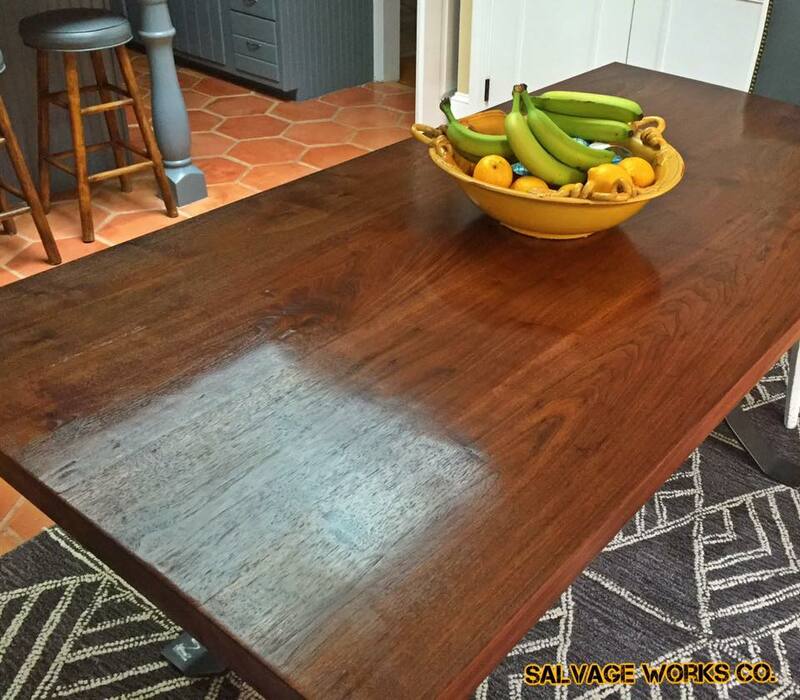 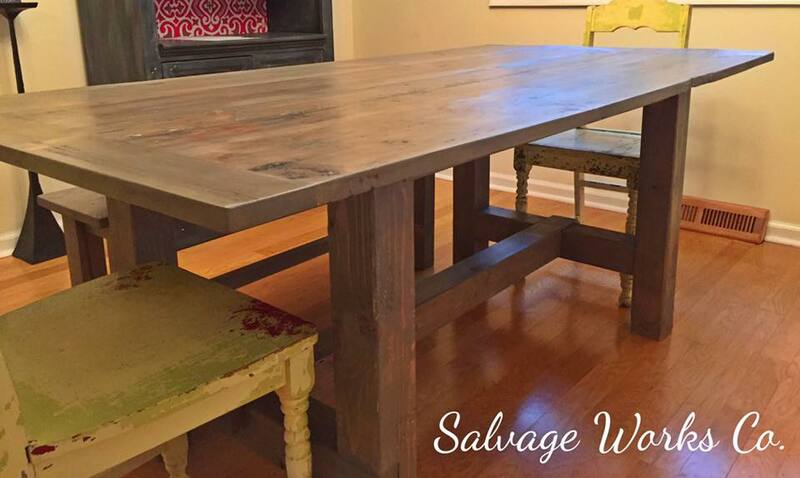 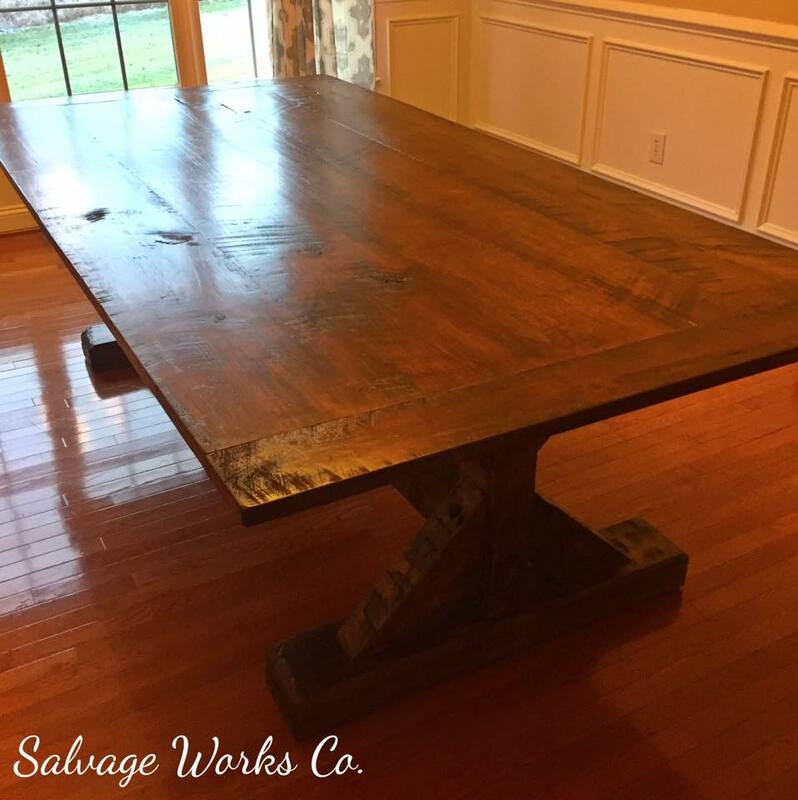 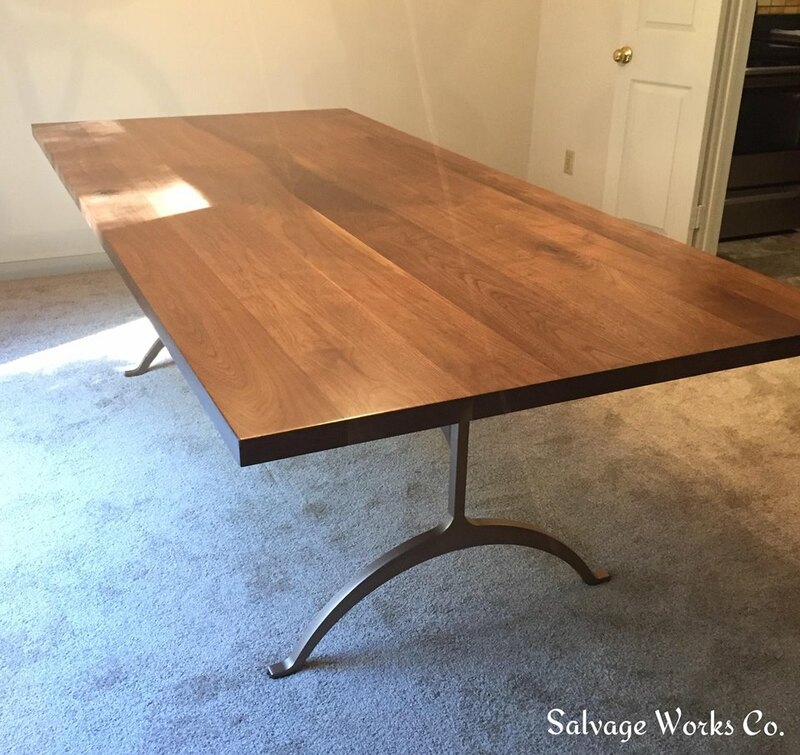 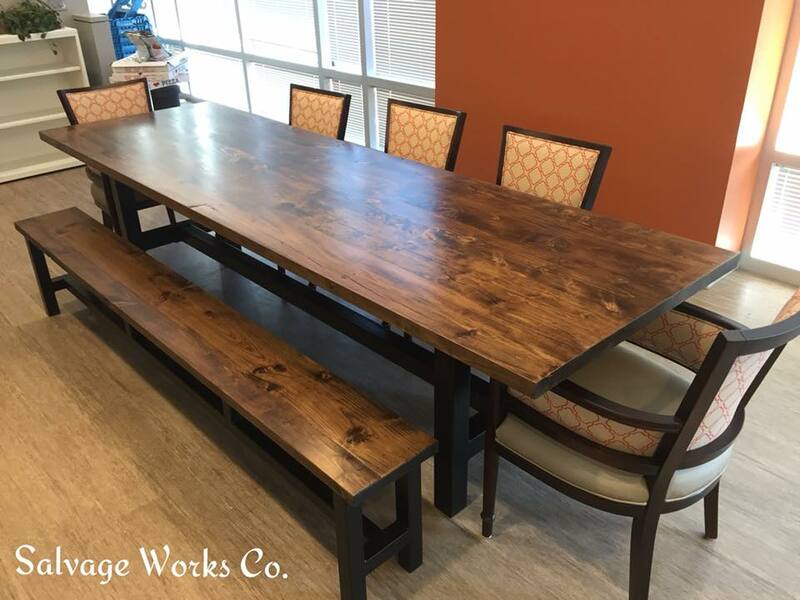 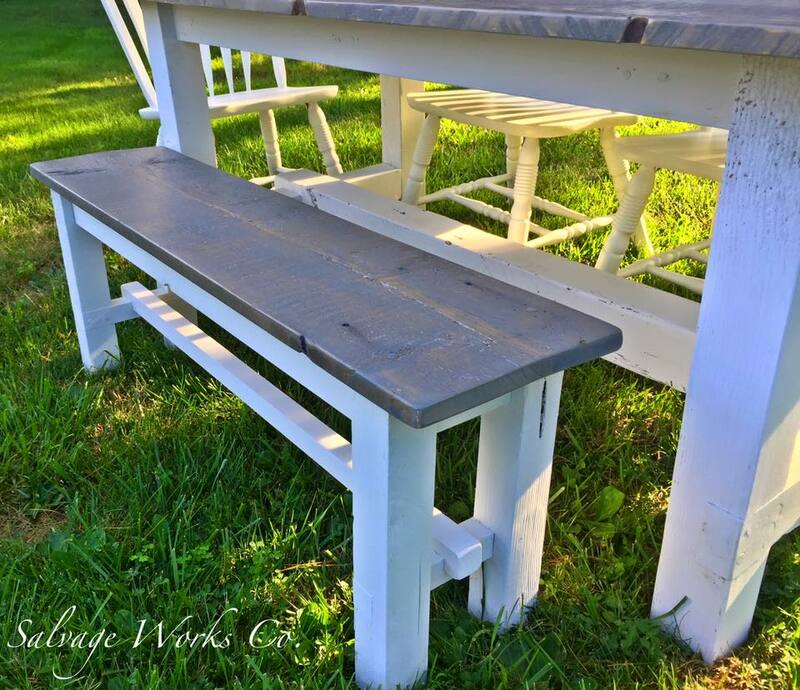 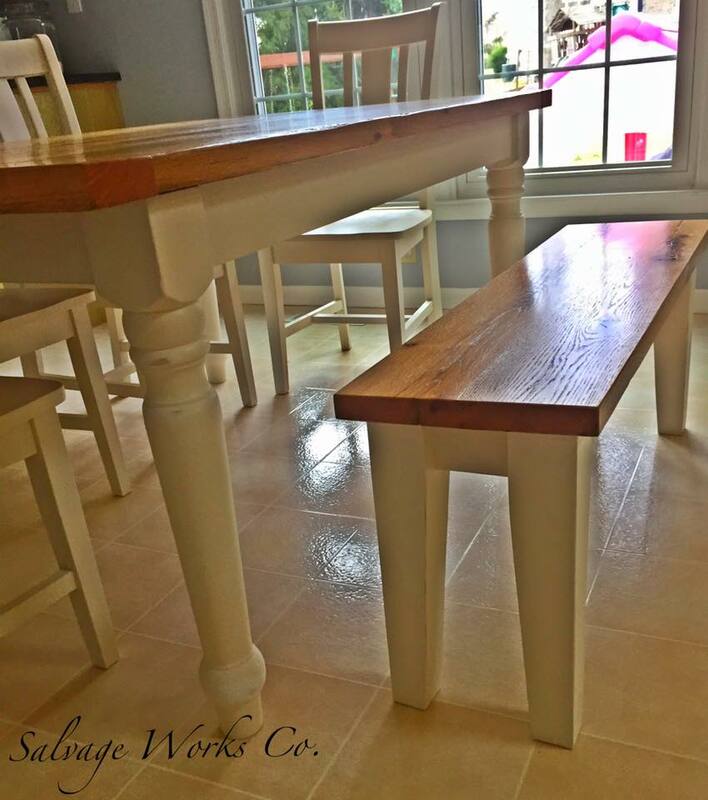 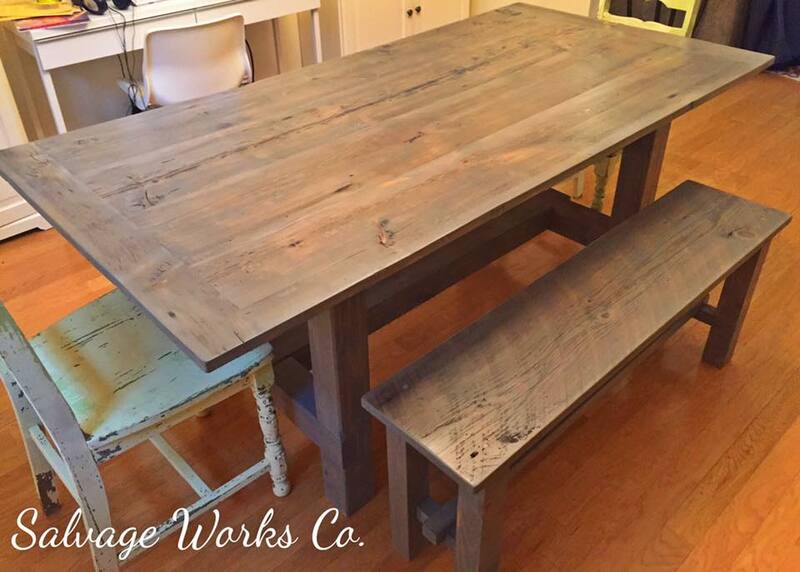 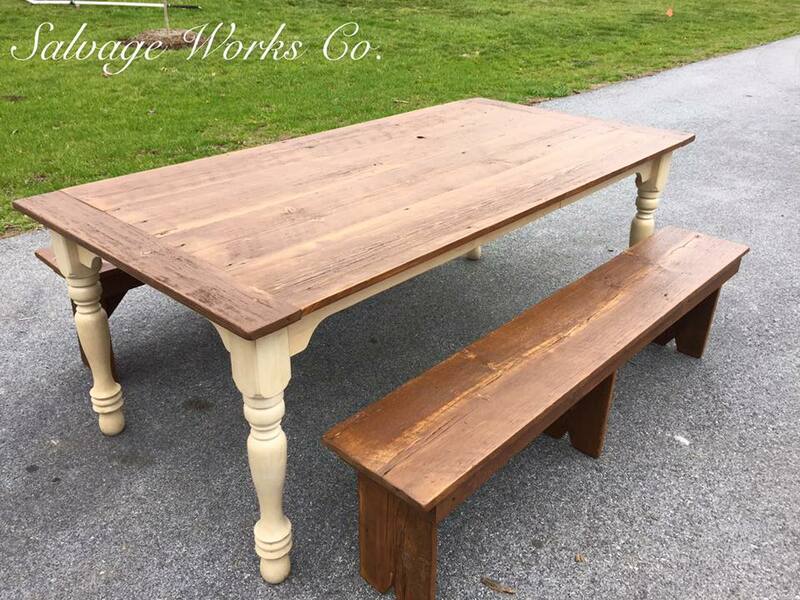 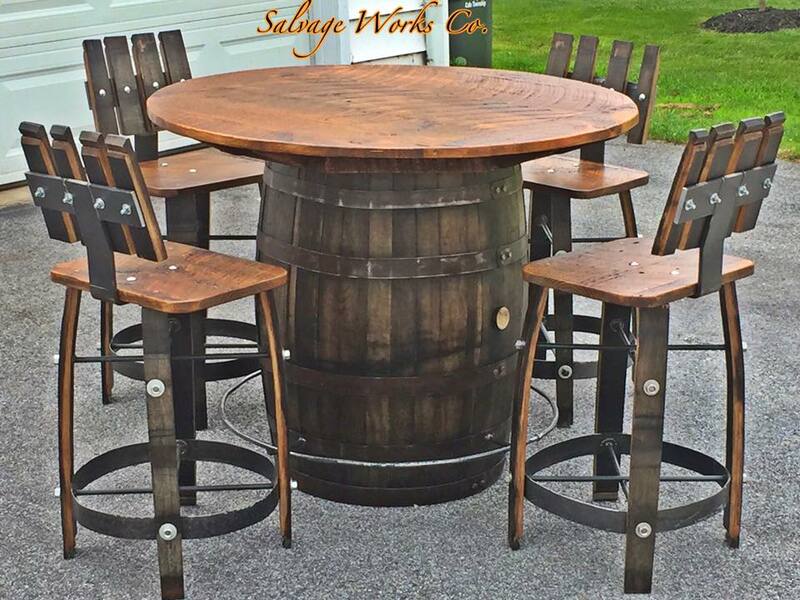 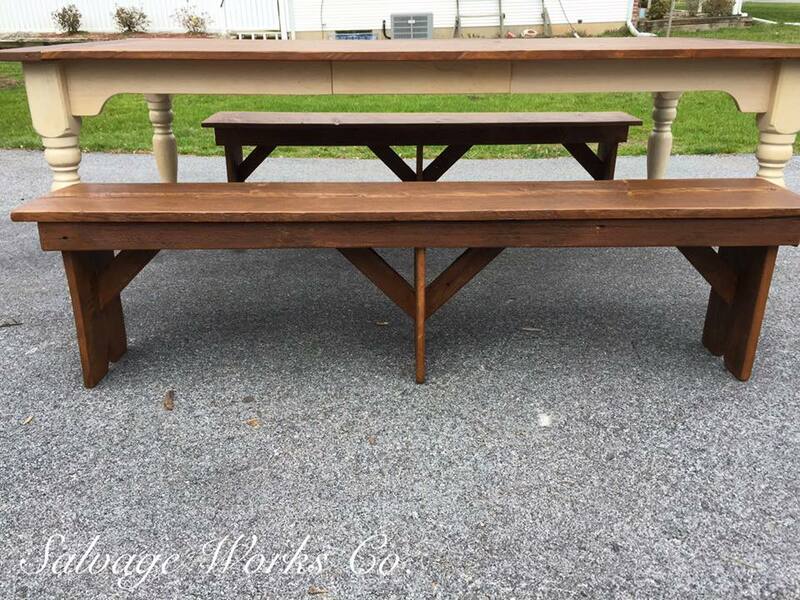 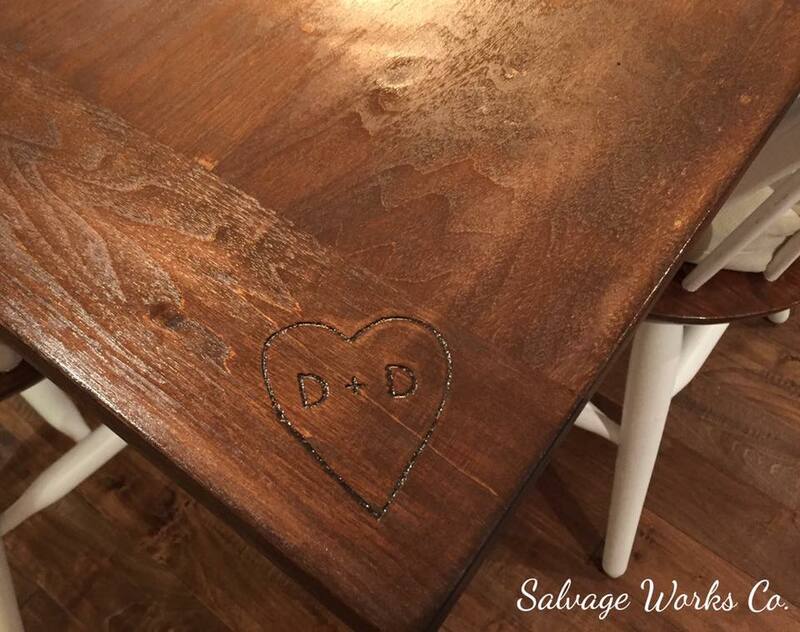 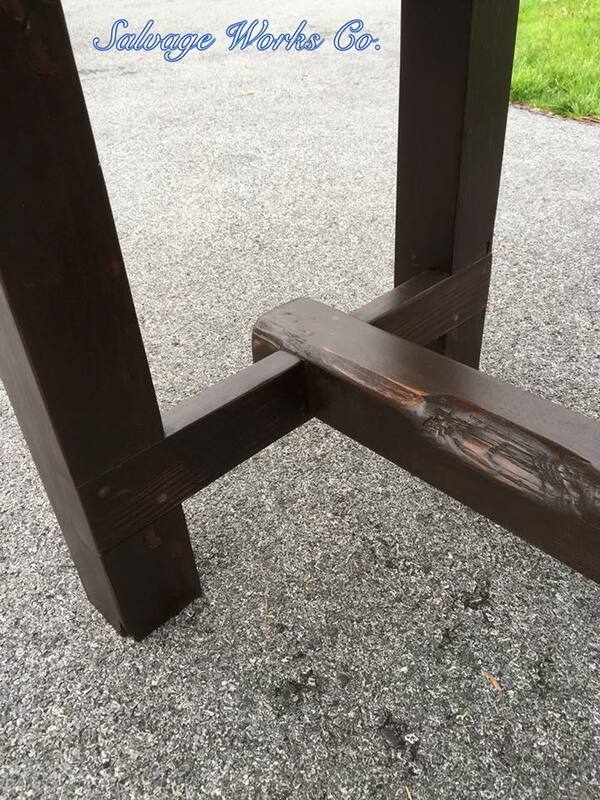 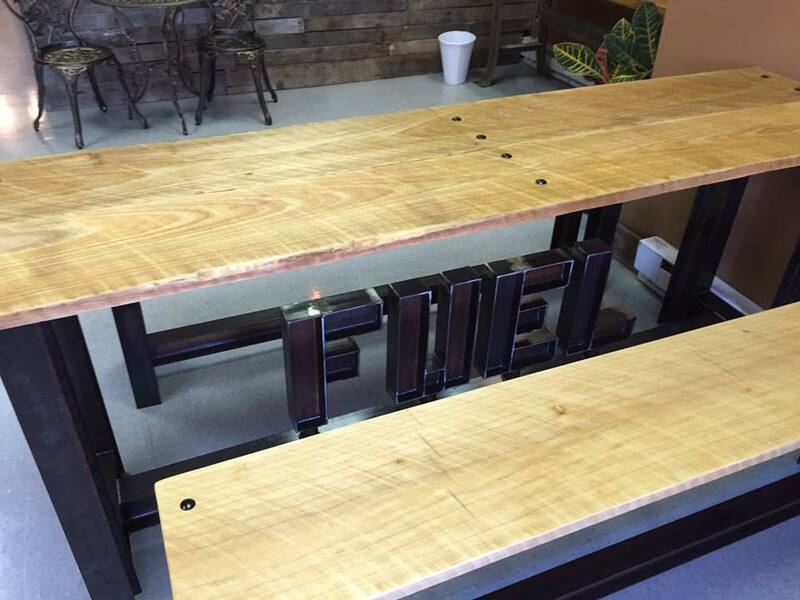 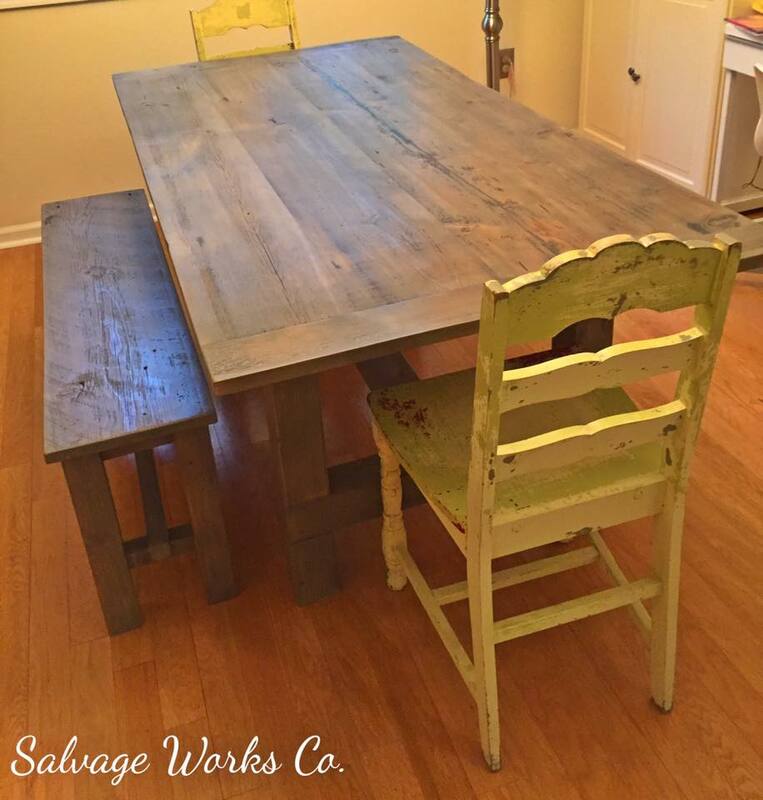 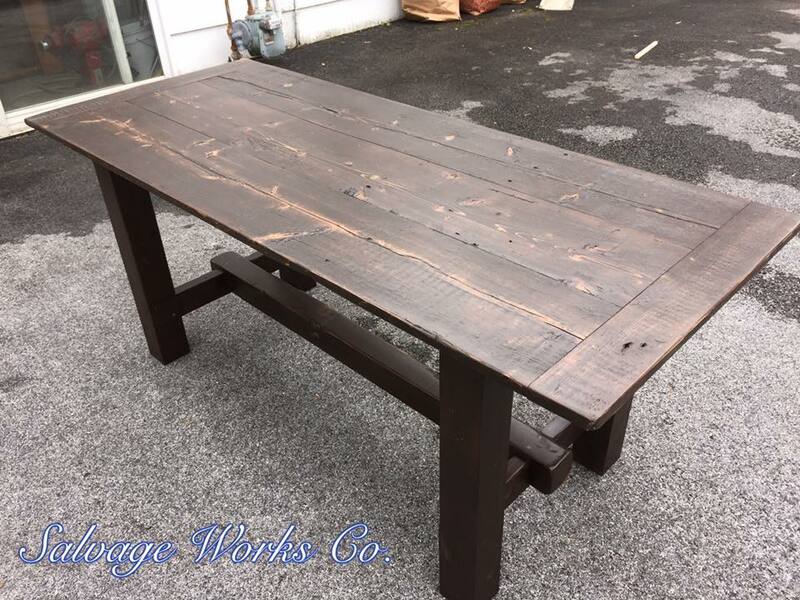 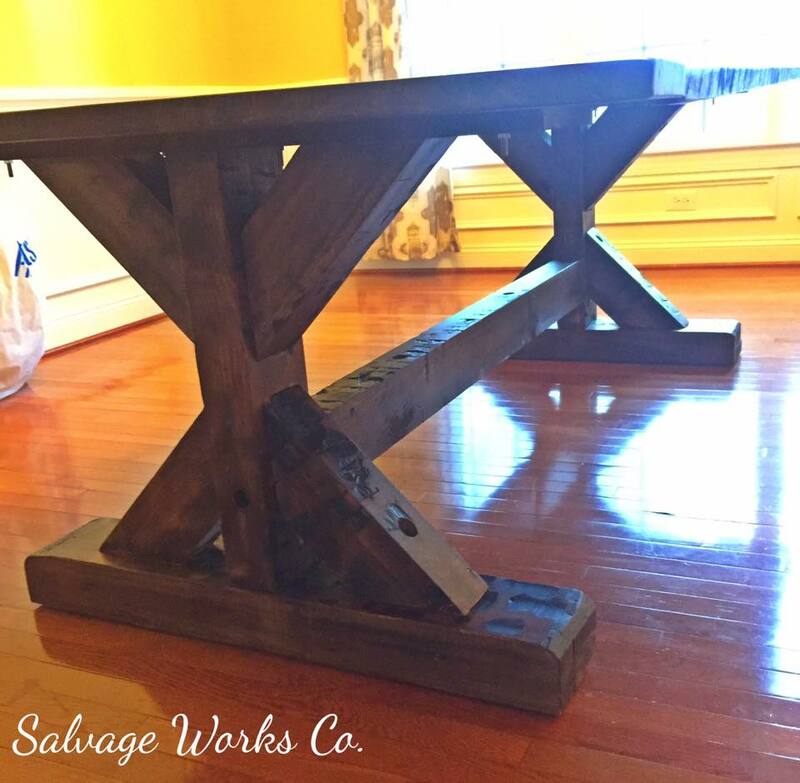 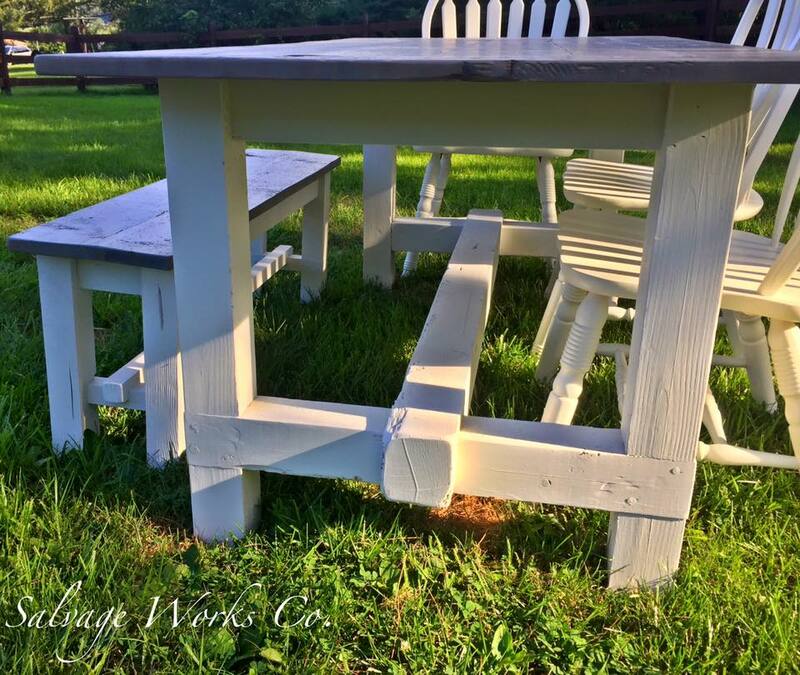 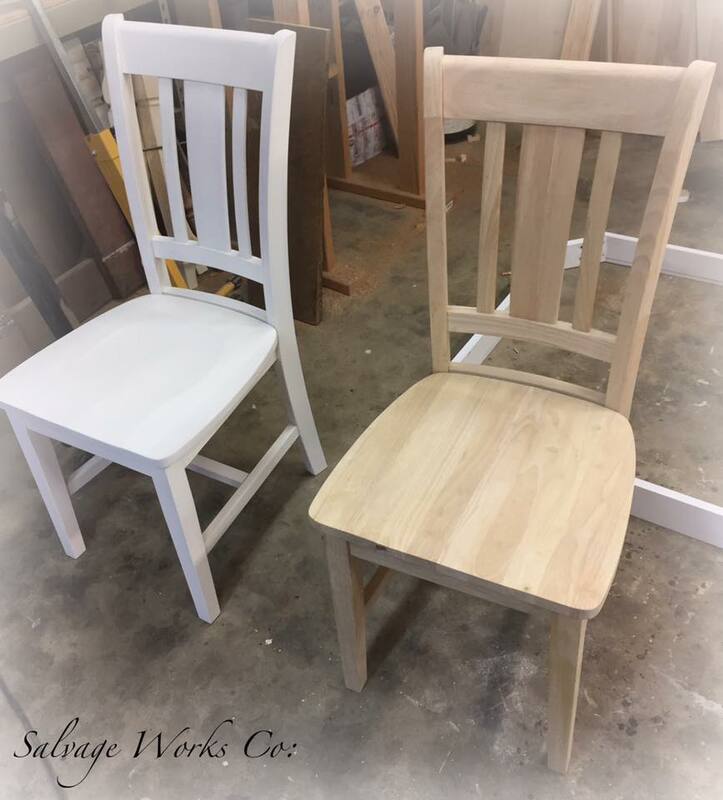 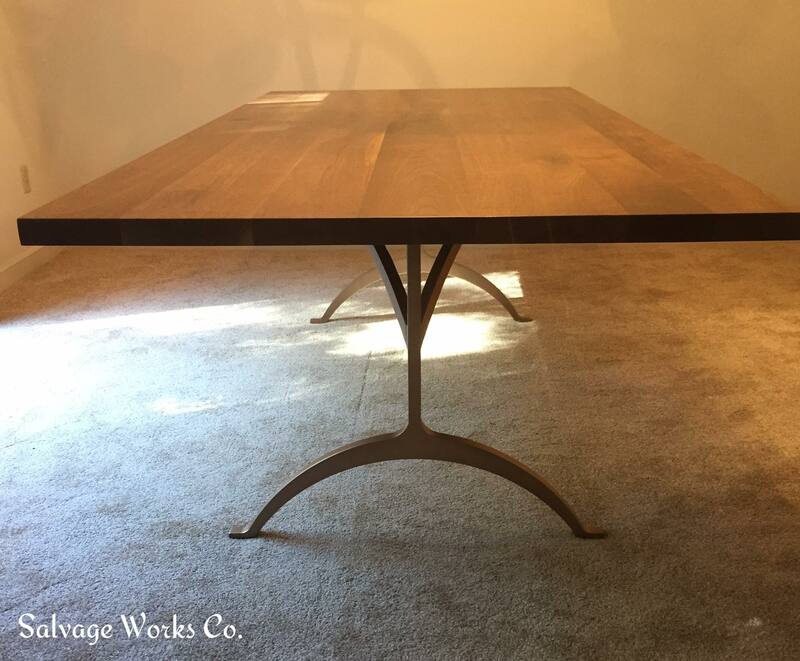 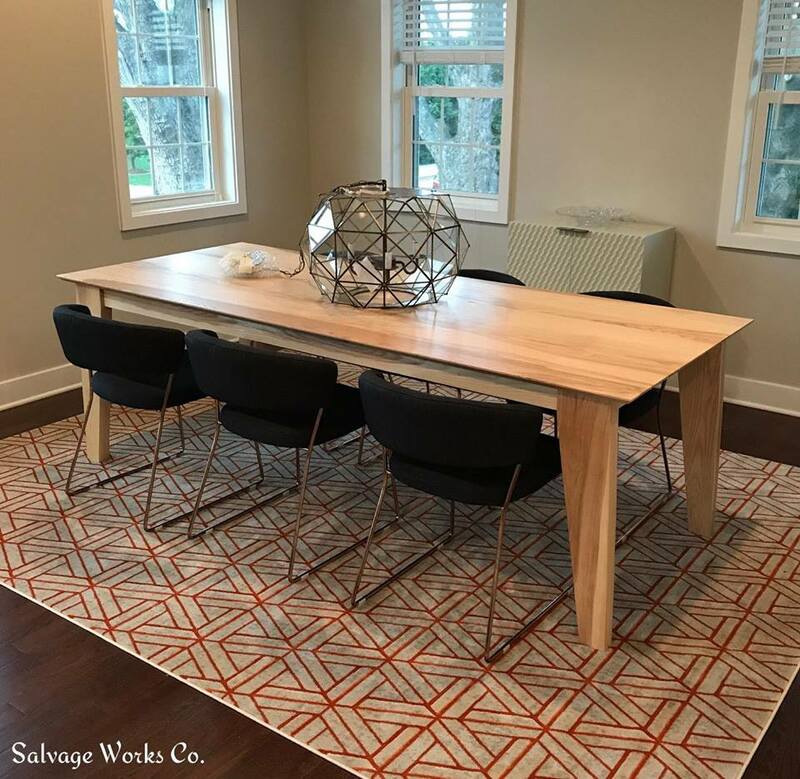 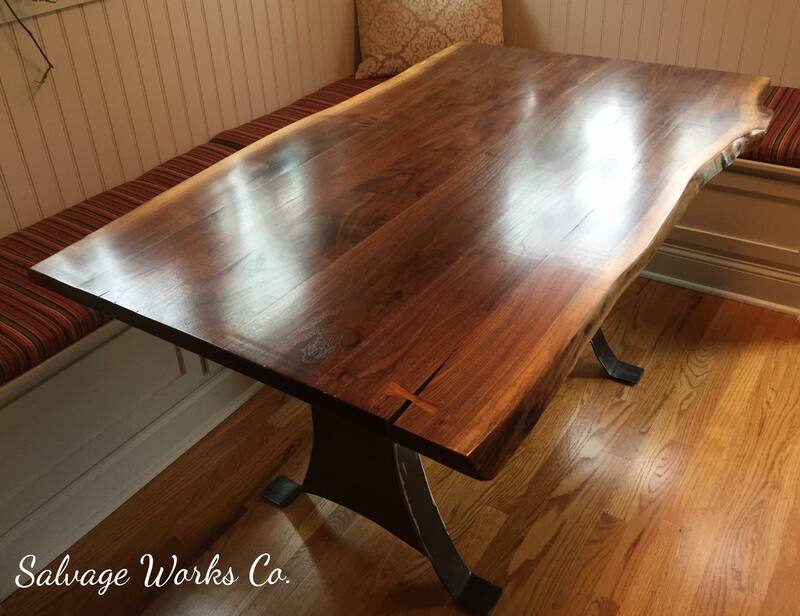 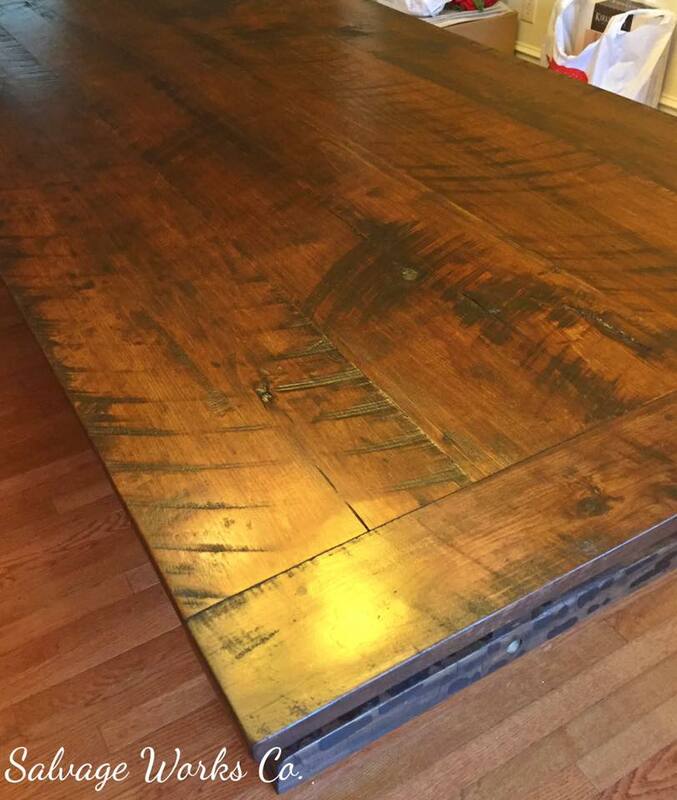 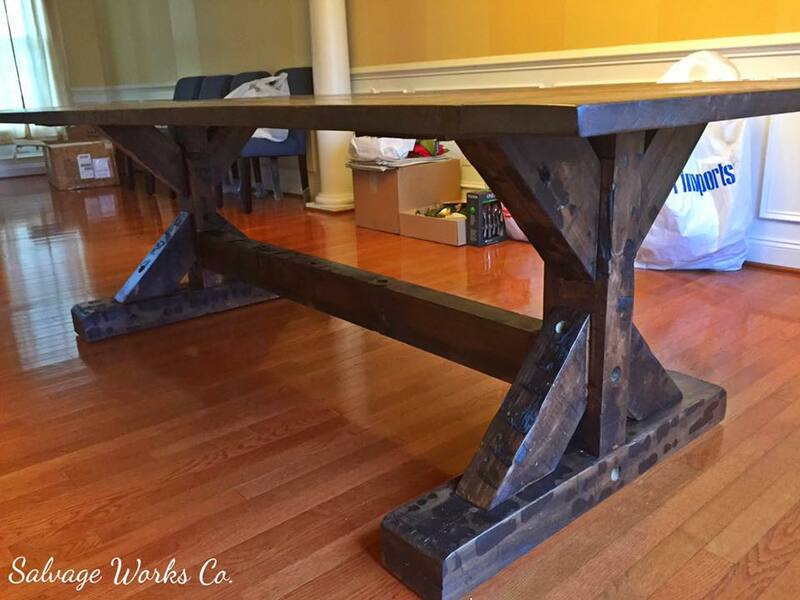 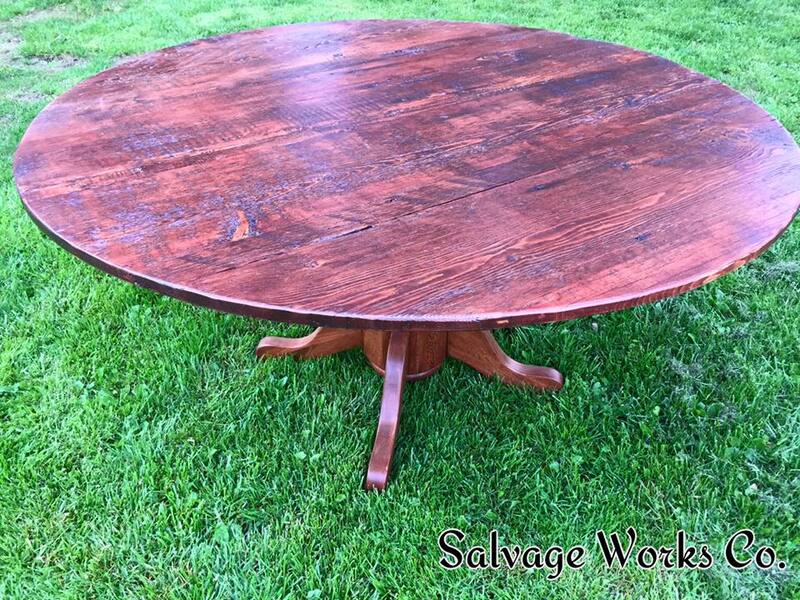 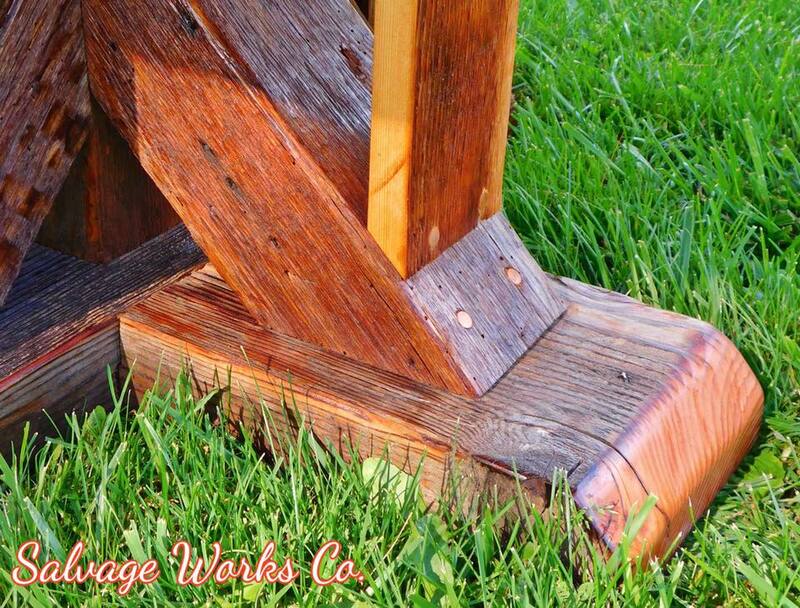 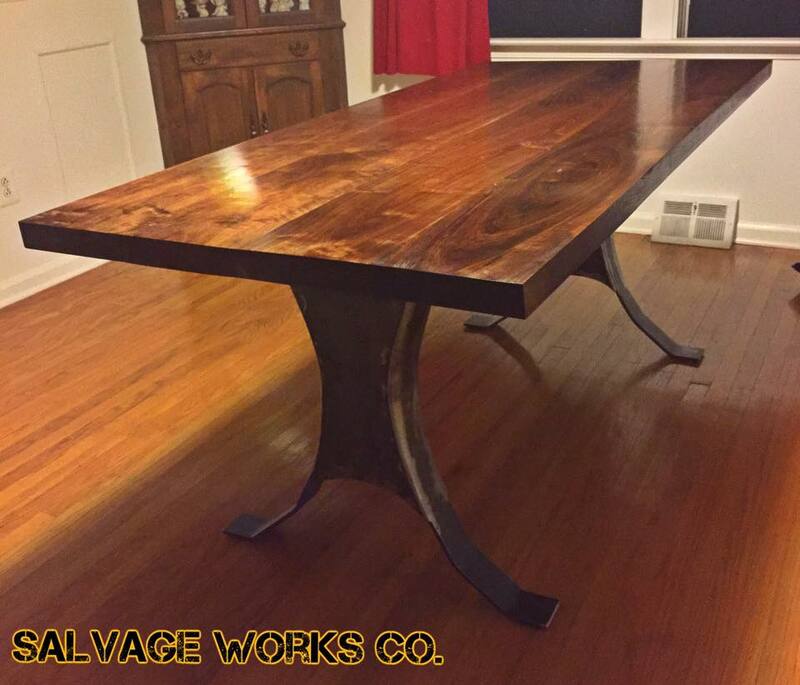 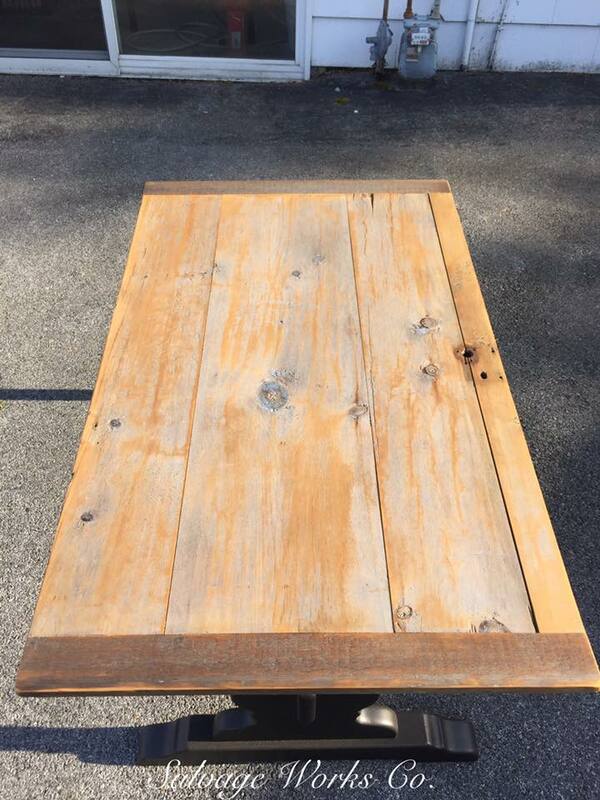 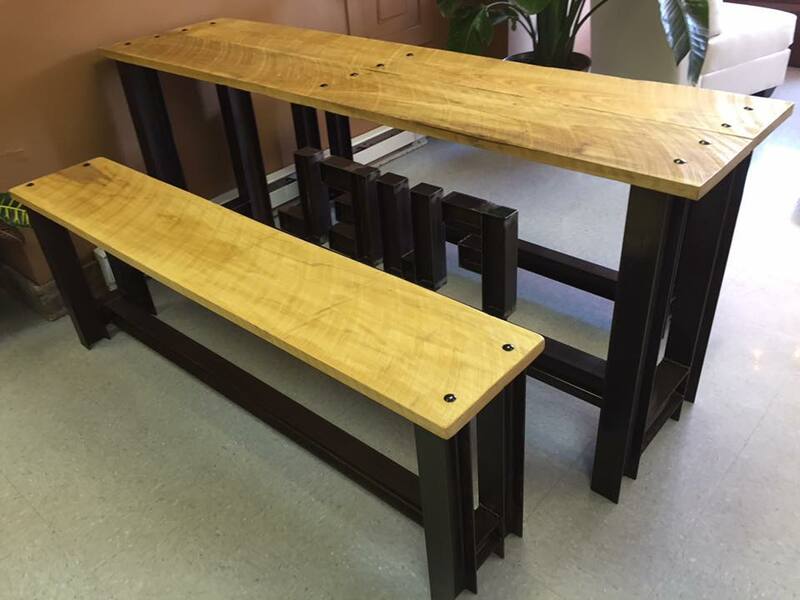 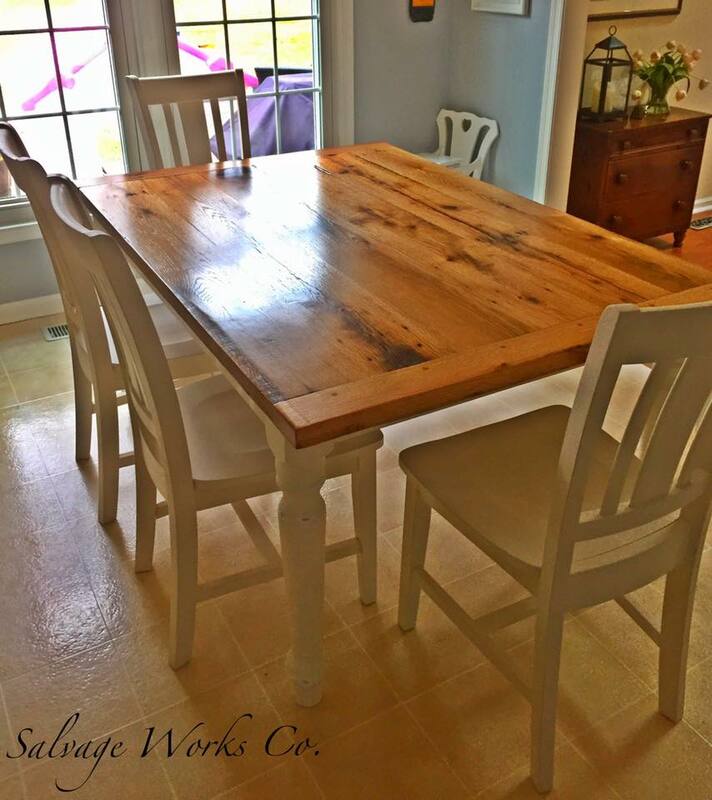 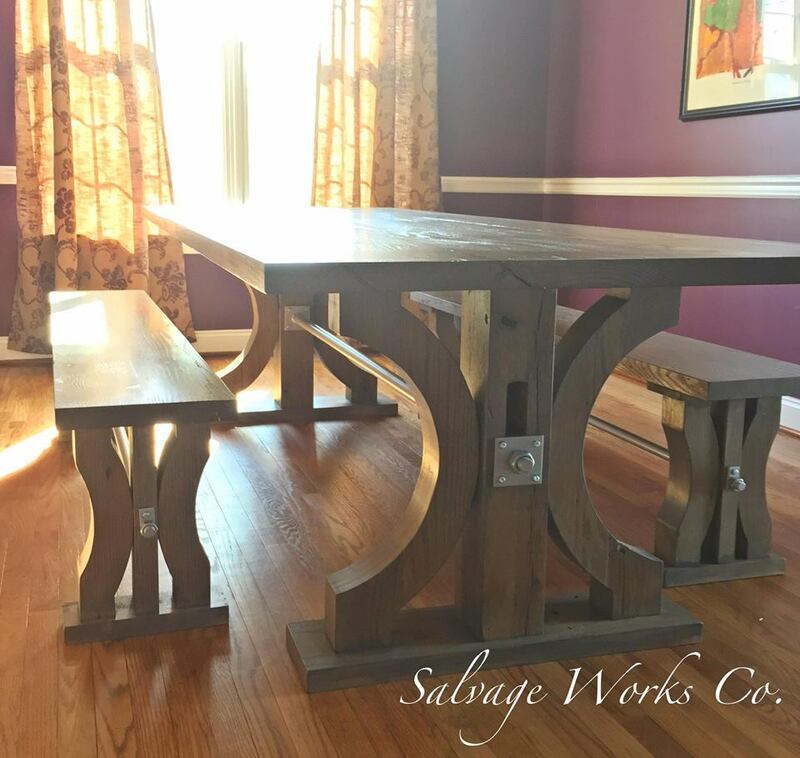 Tables – Salvage Works Co. 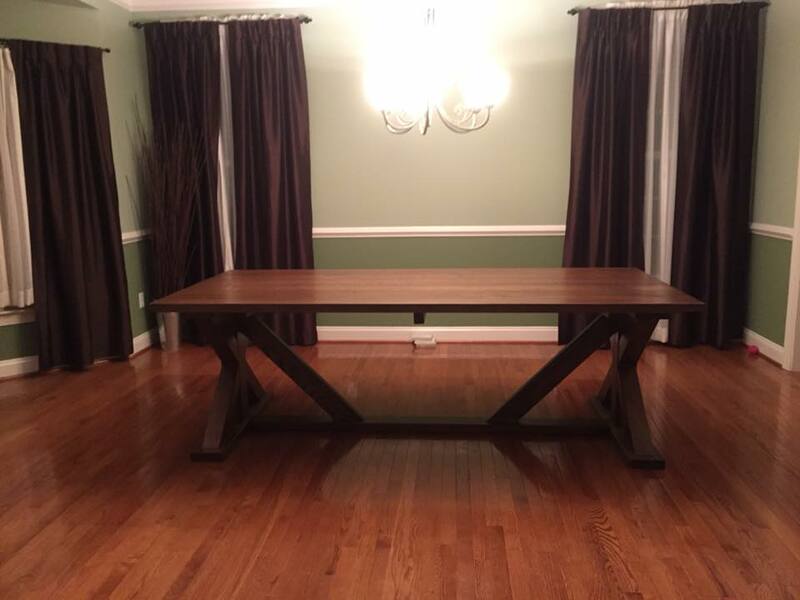 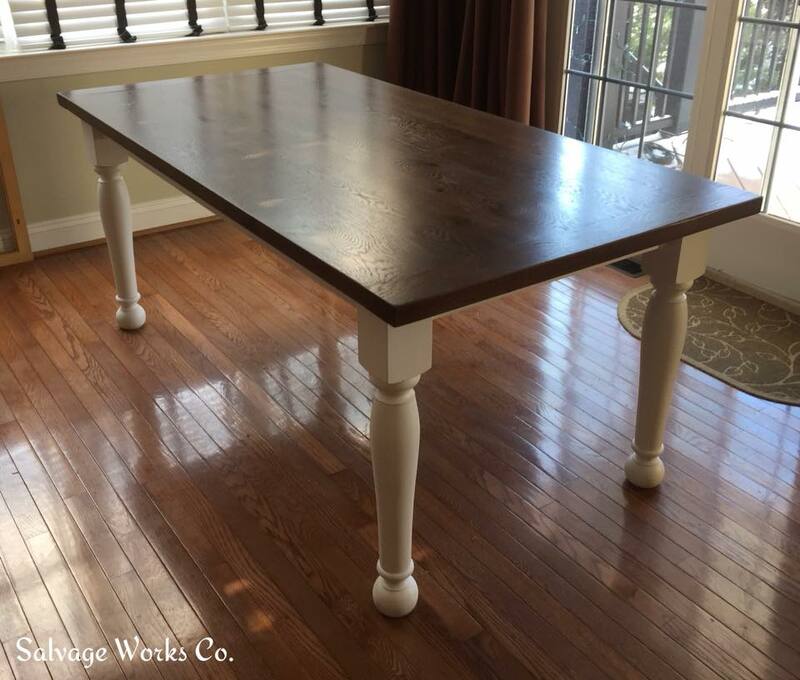 Enjoy meals around a custom table! 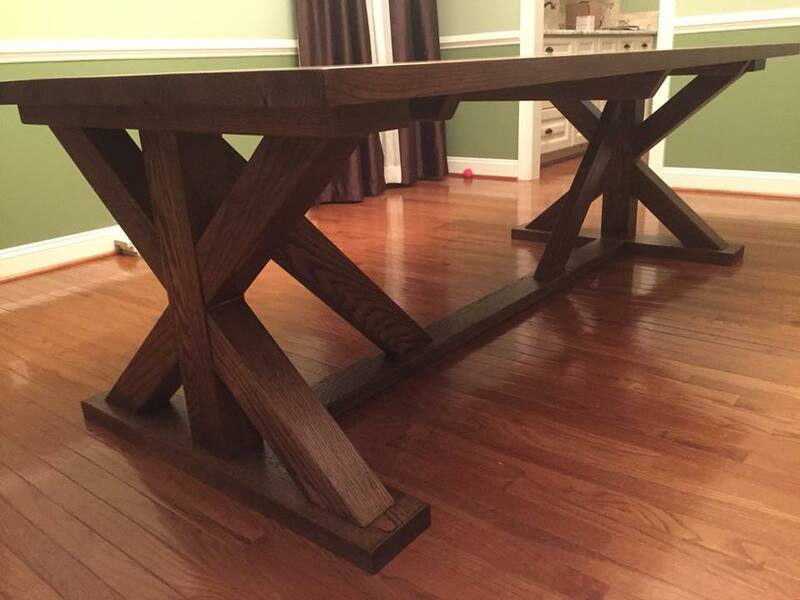 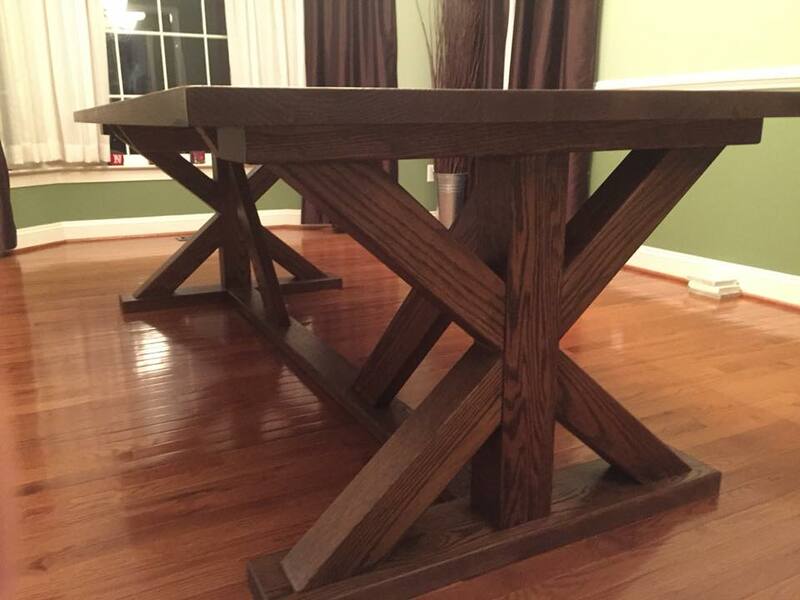 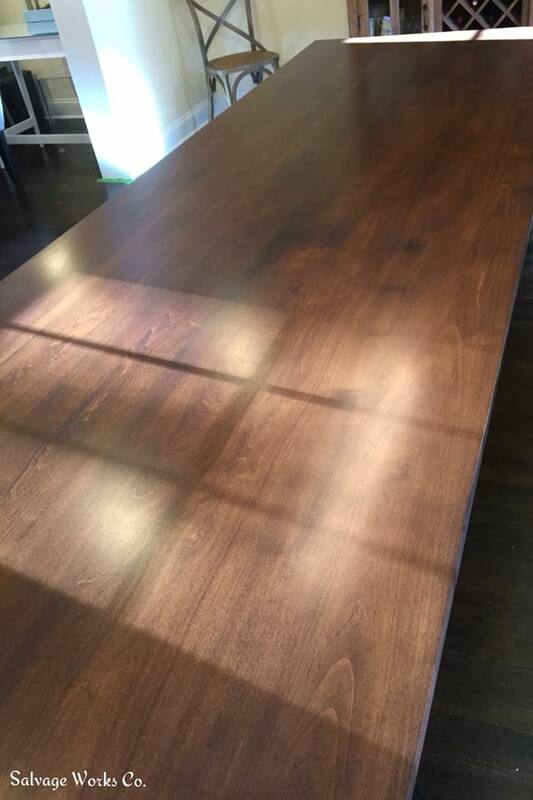 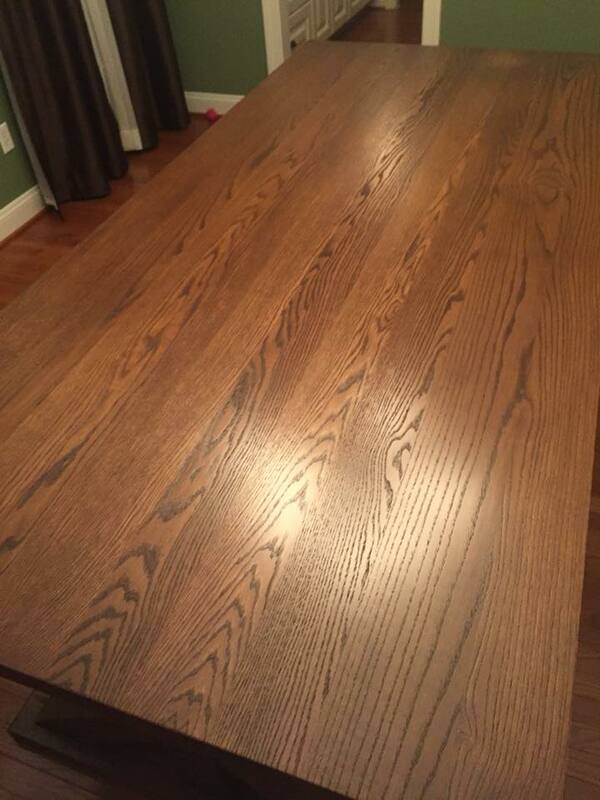 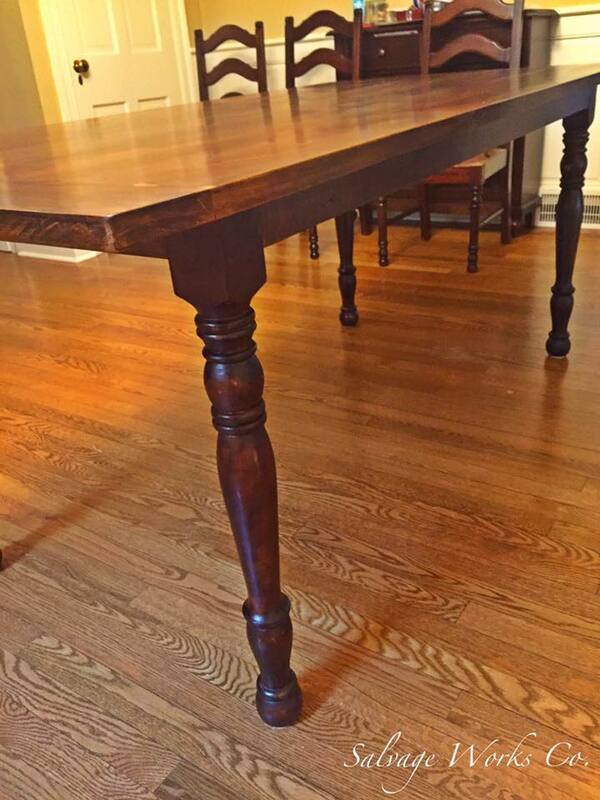 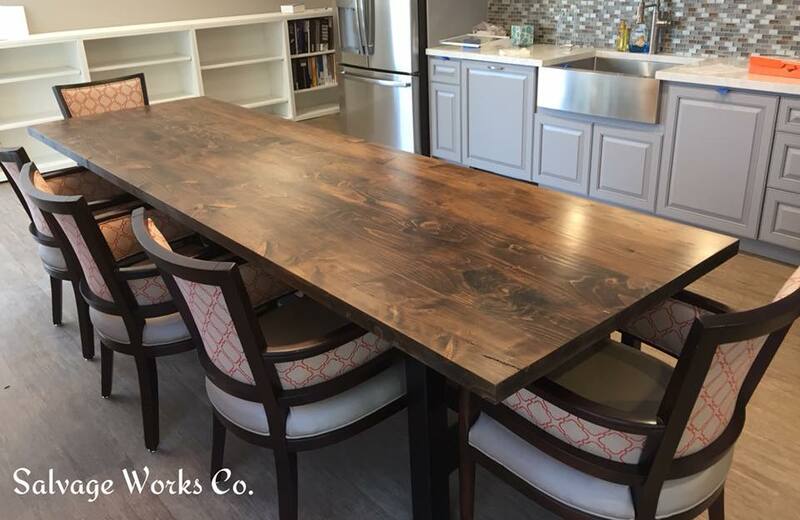 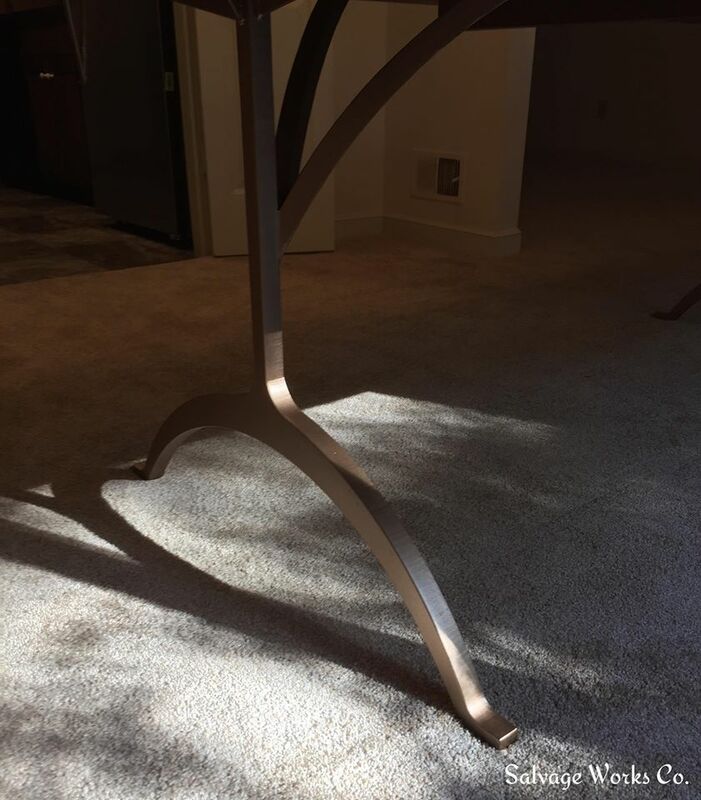 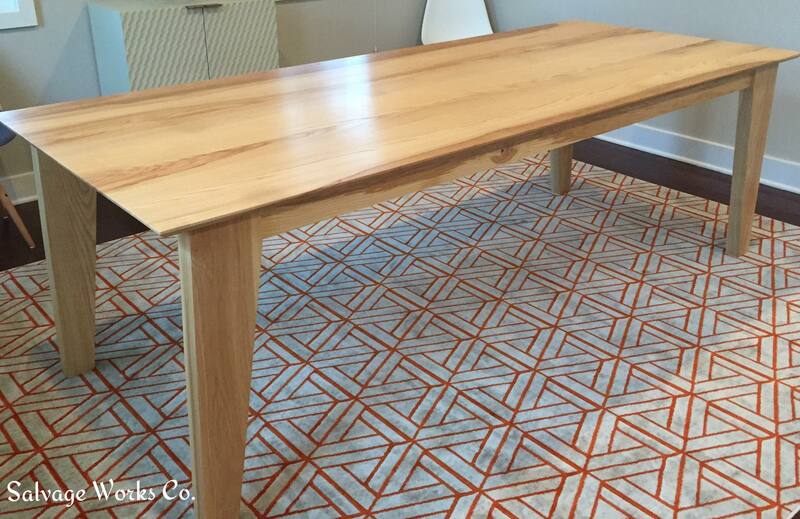 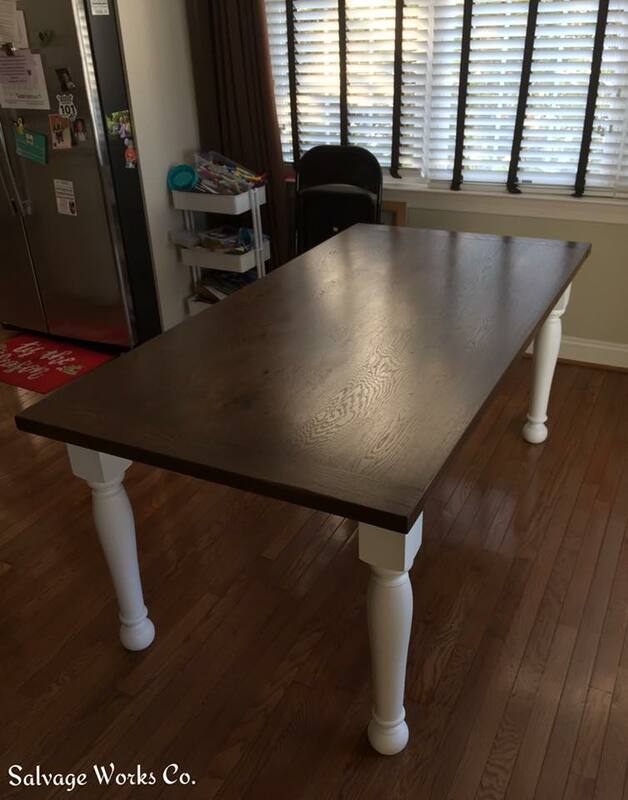 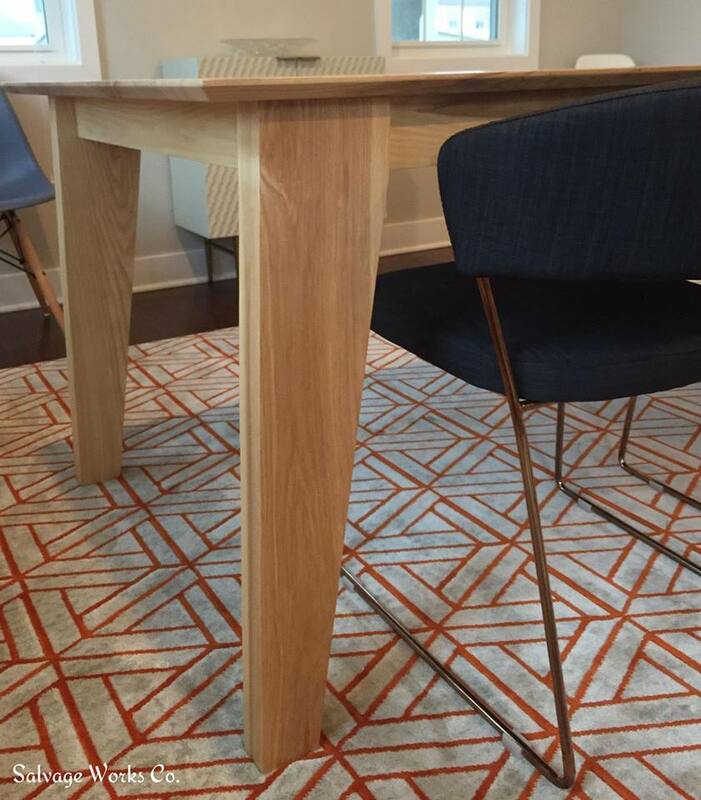 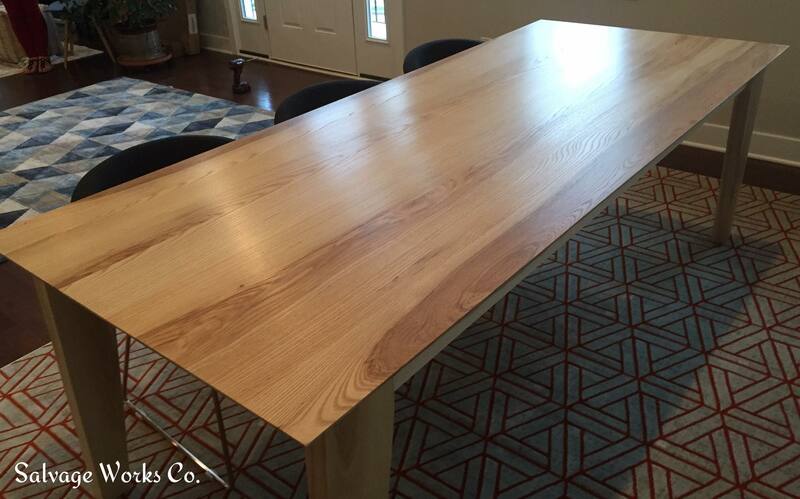 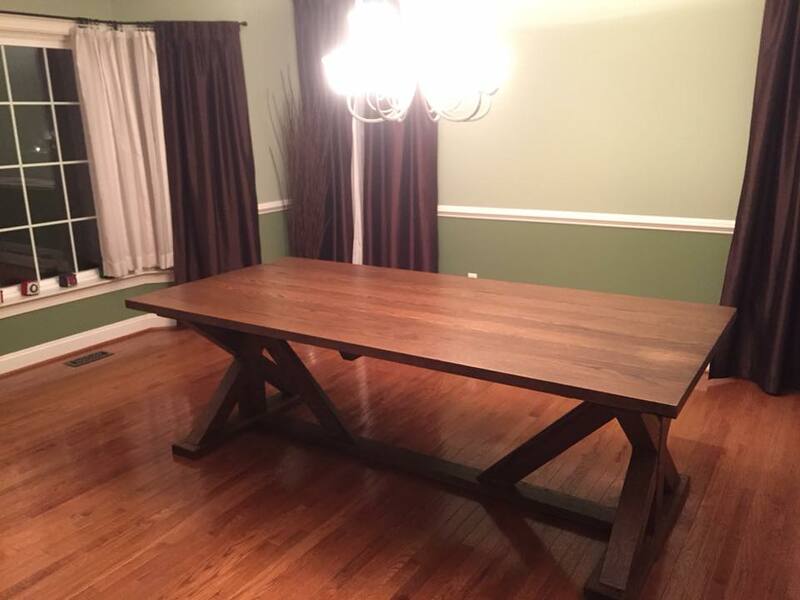 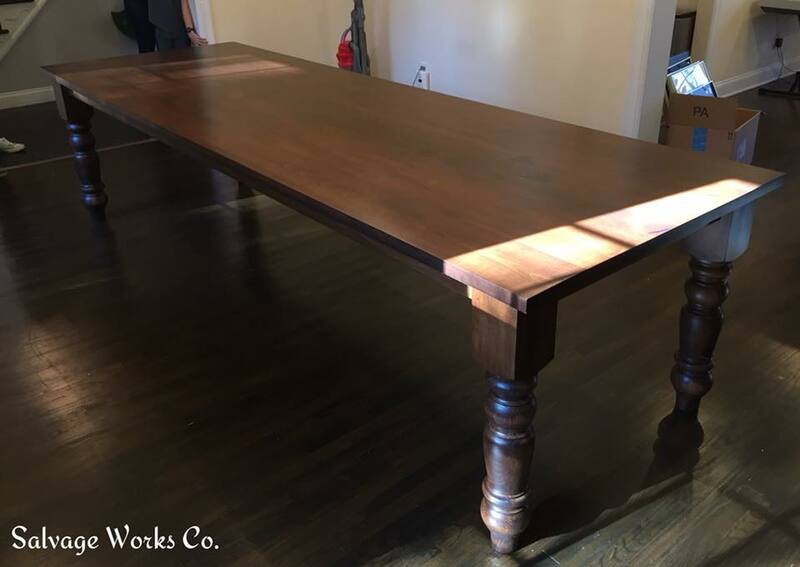 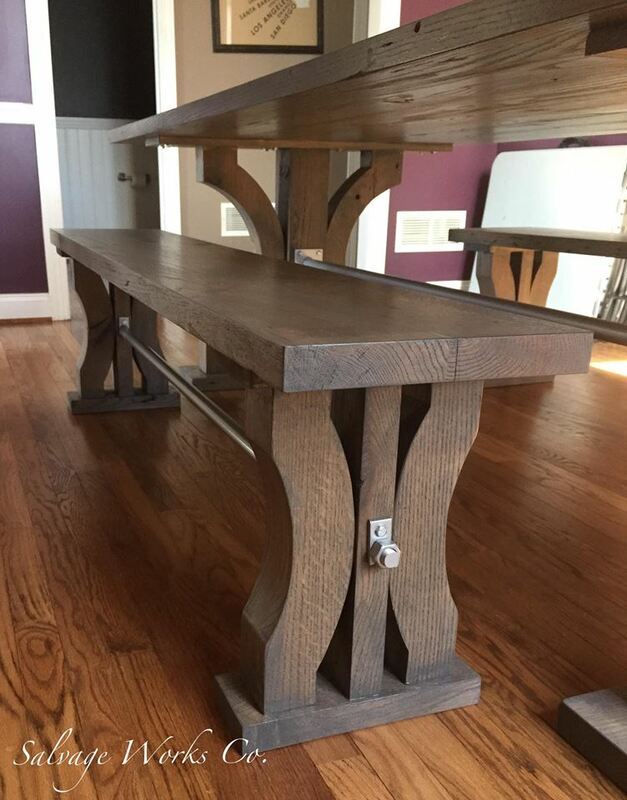 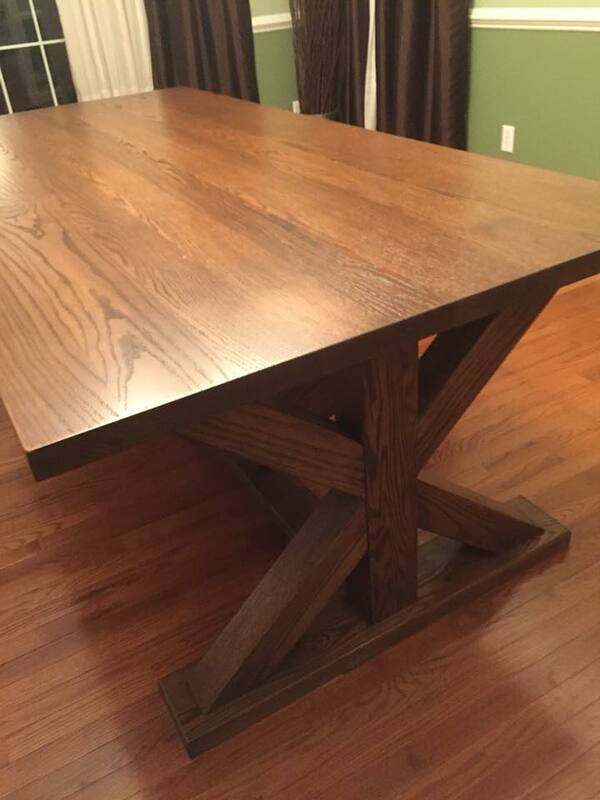 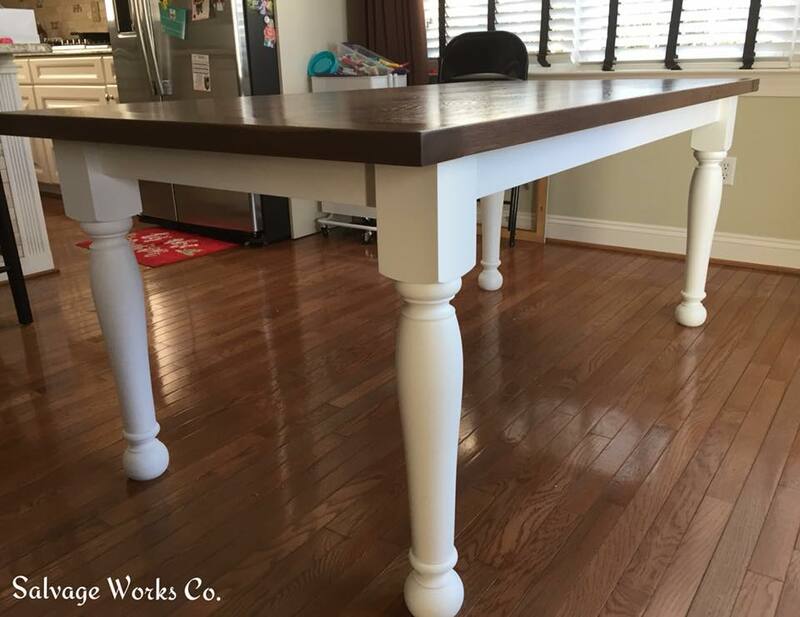 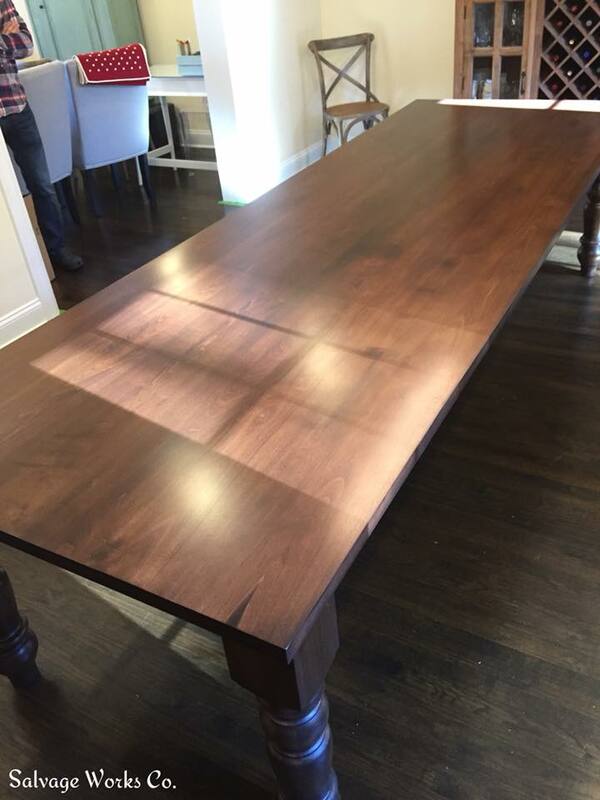 Tables are one of our most popular builds. 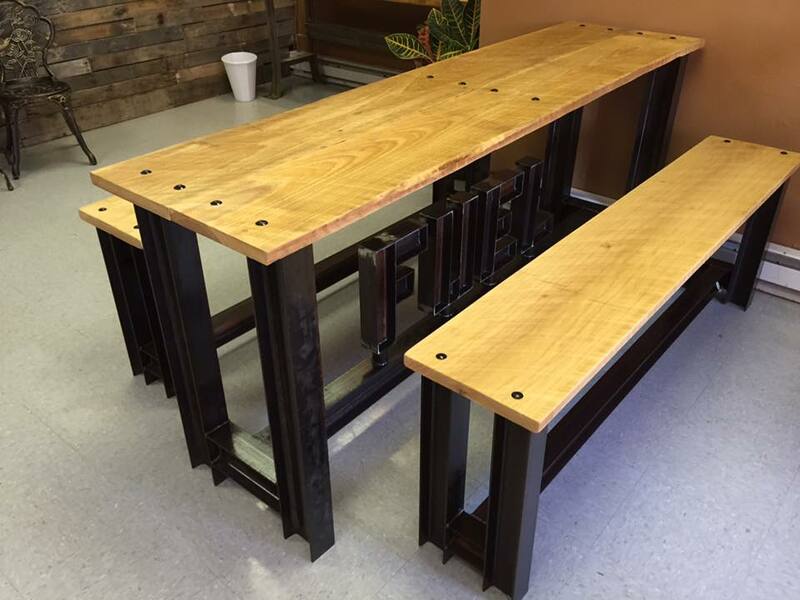 Options include contemporary, reclaimed and industrial. 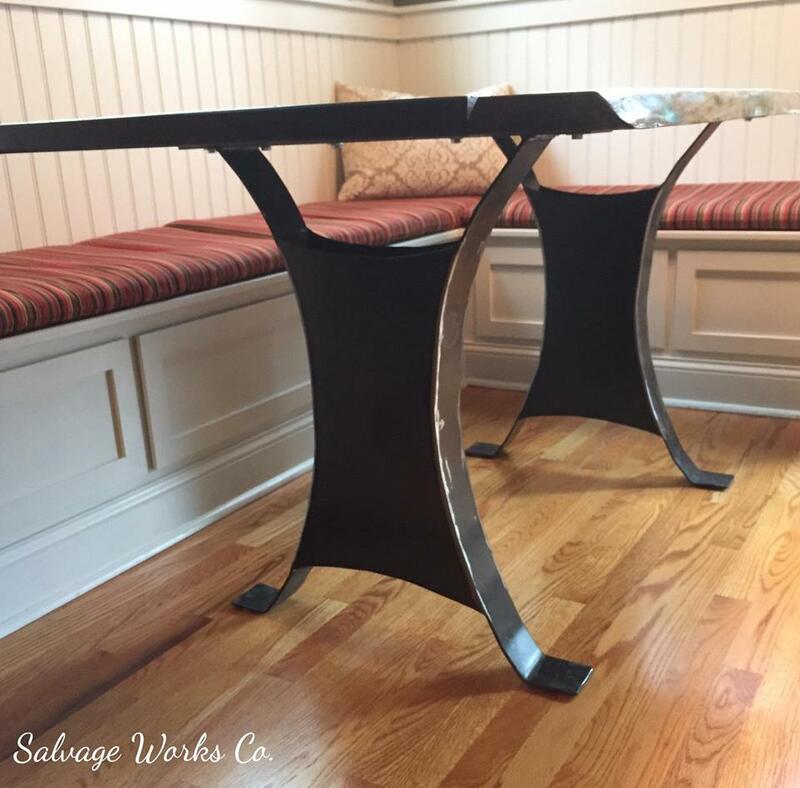 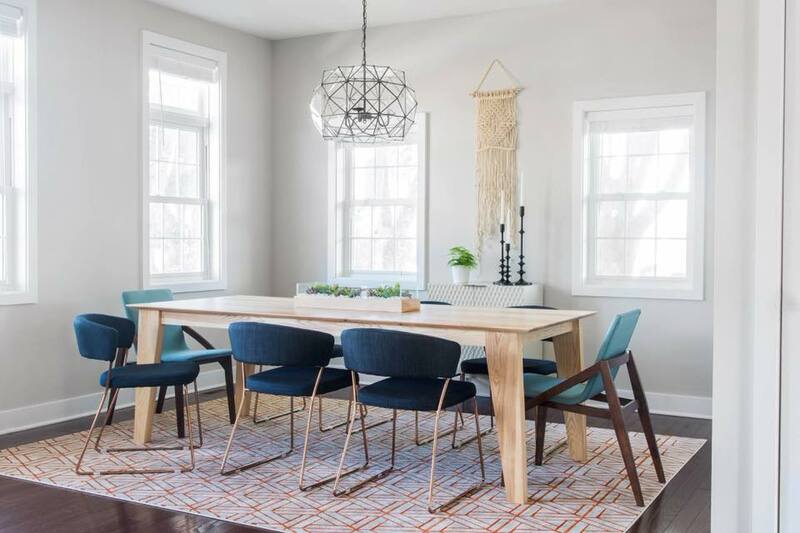 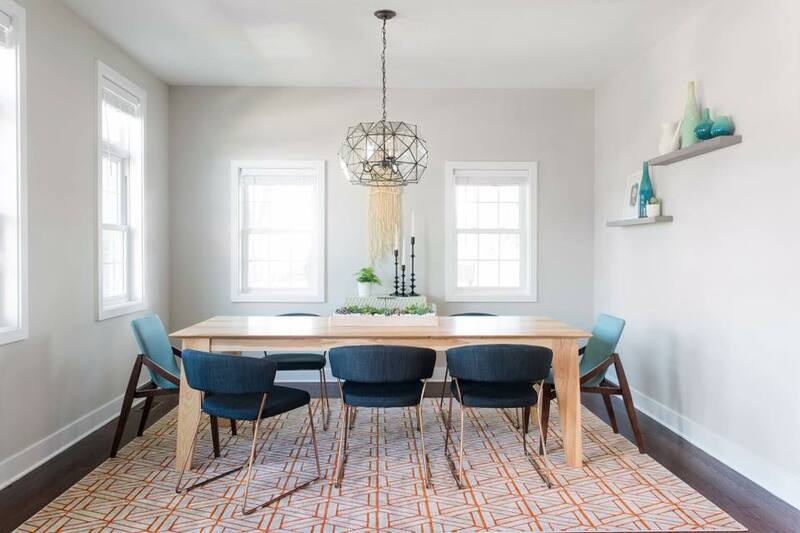 Add a modern touch with a contemporary dining table. 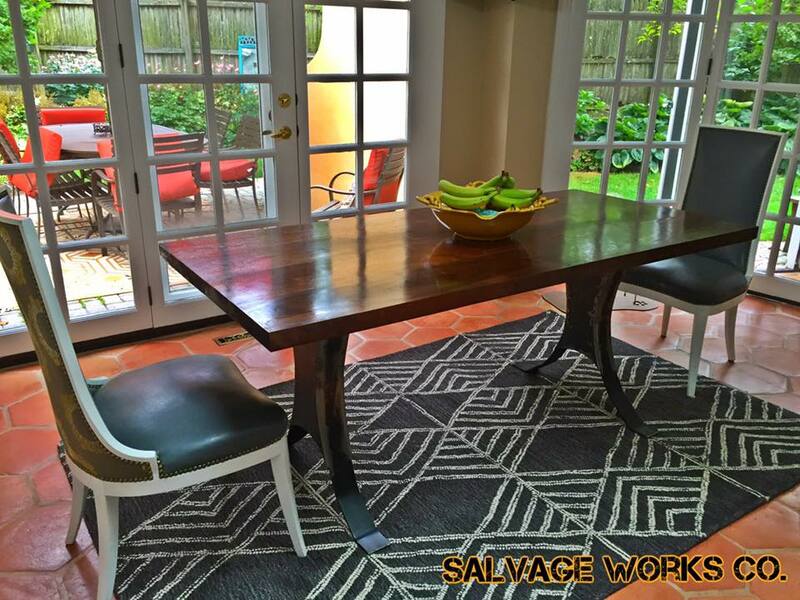 Go with an industrial table to set your space apart. 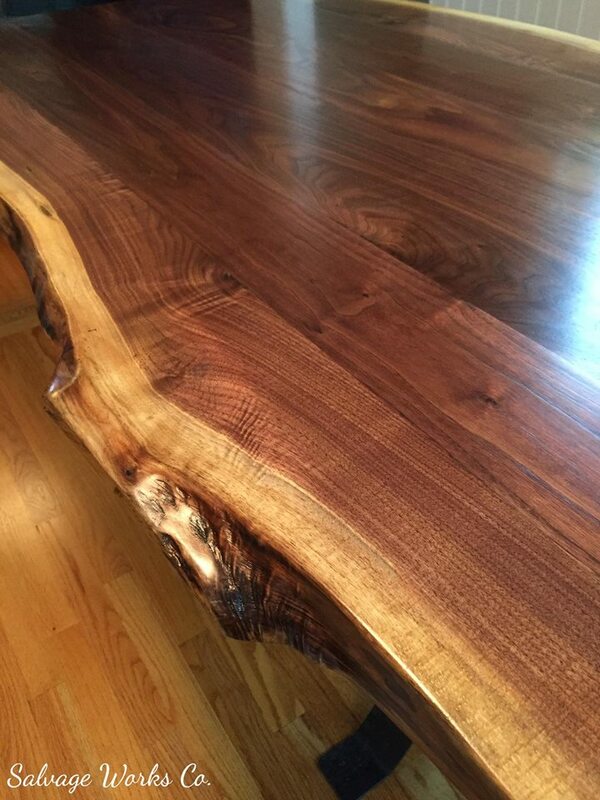 Add some steel or a live edge. 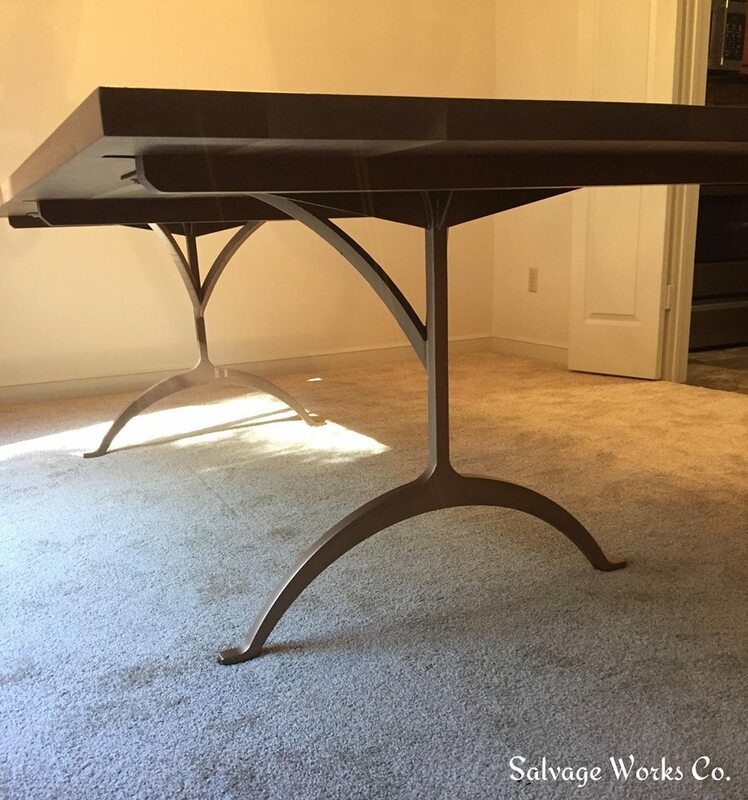 Make your space come alive! 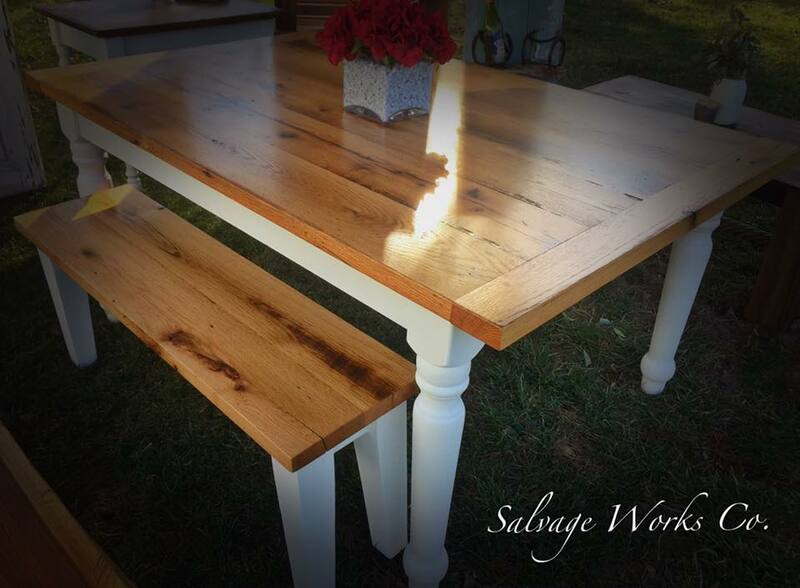 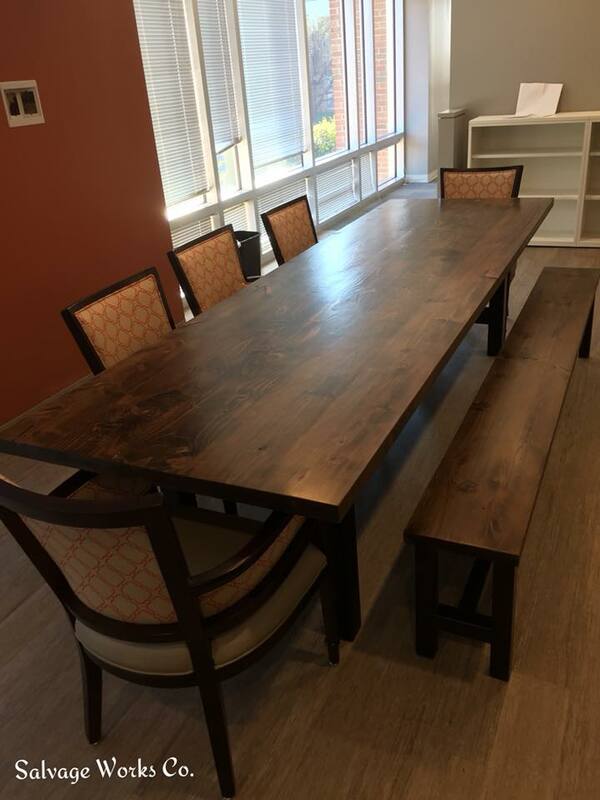 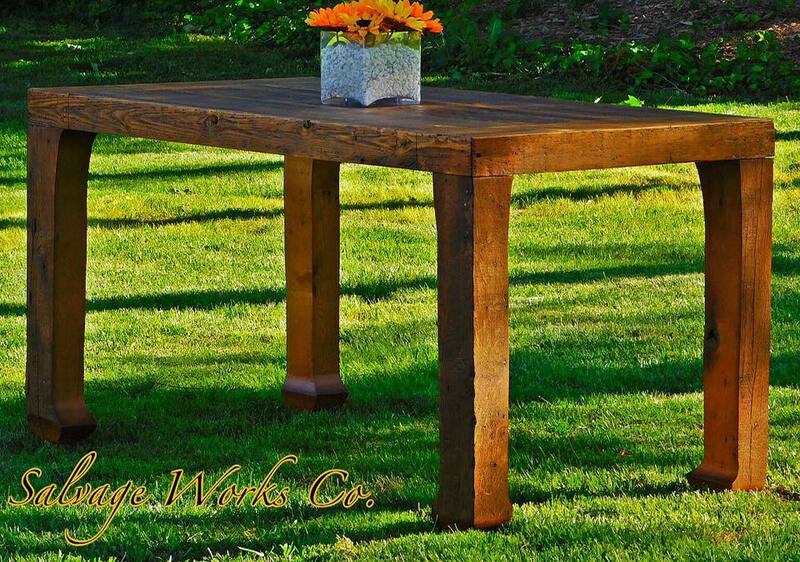 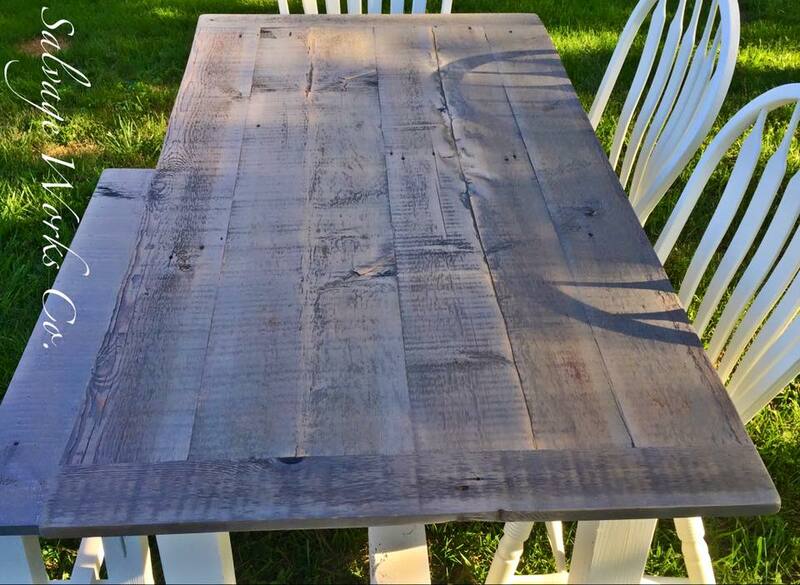 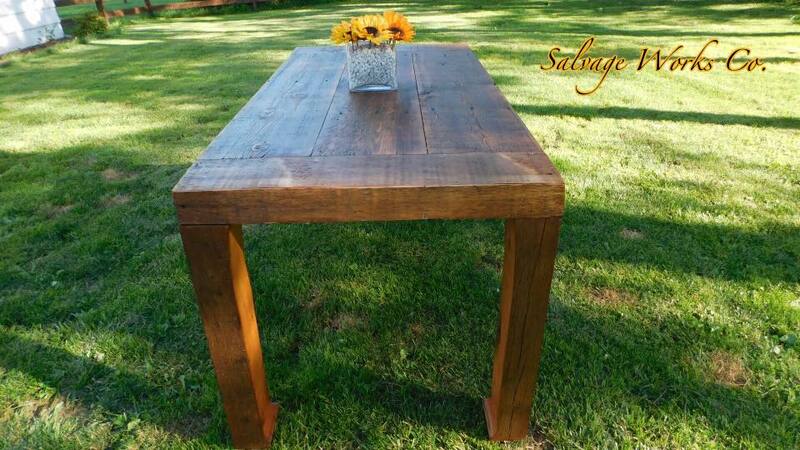 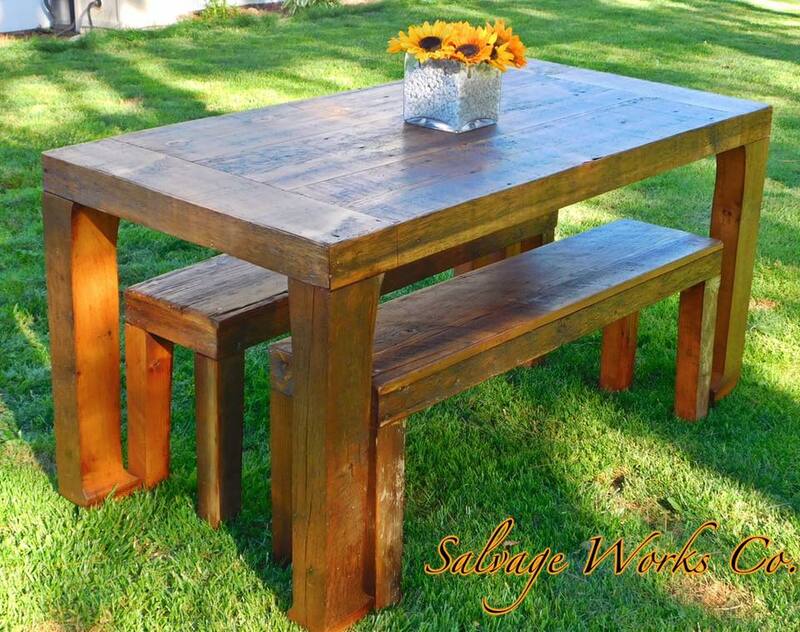 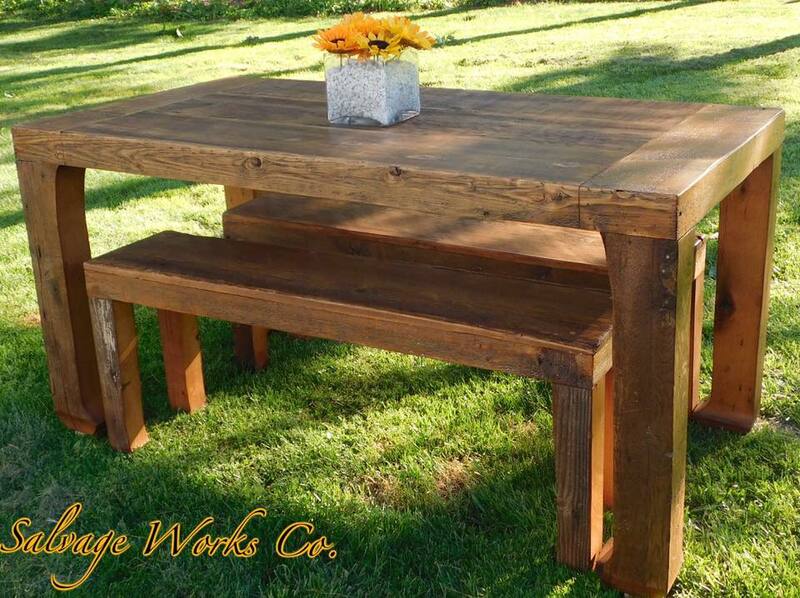 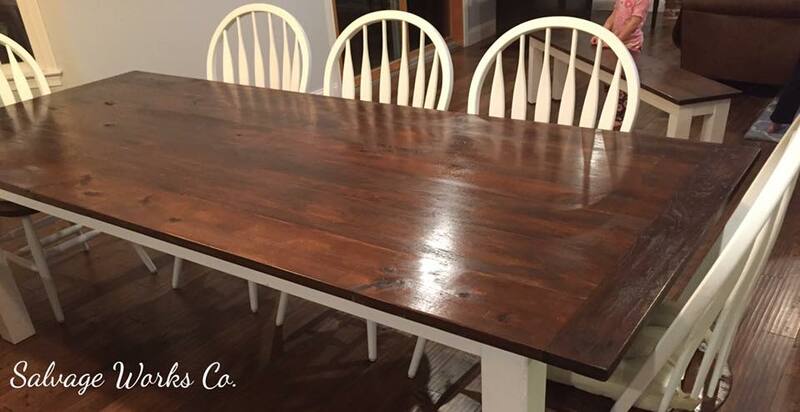 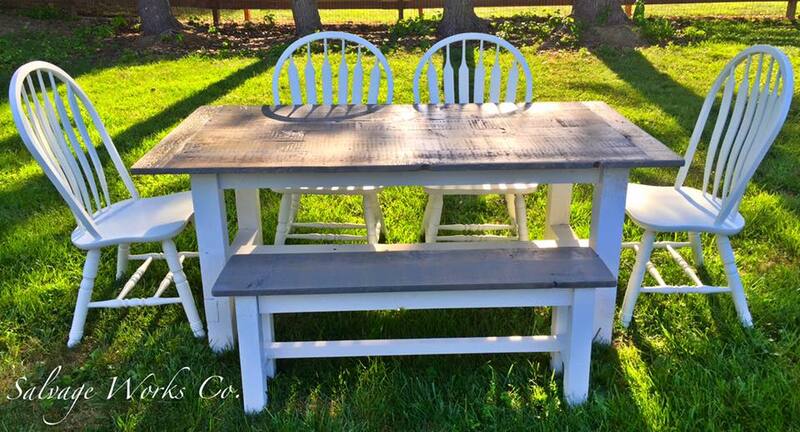 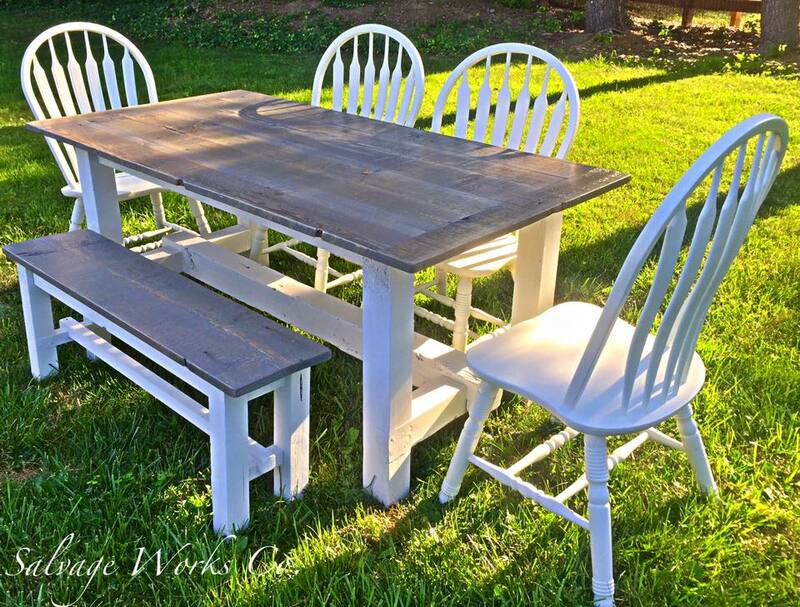 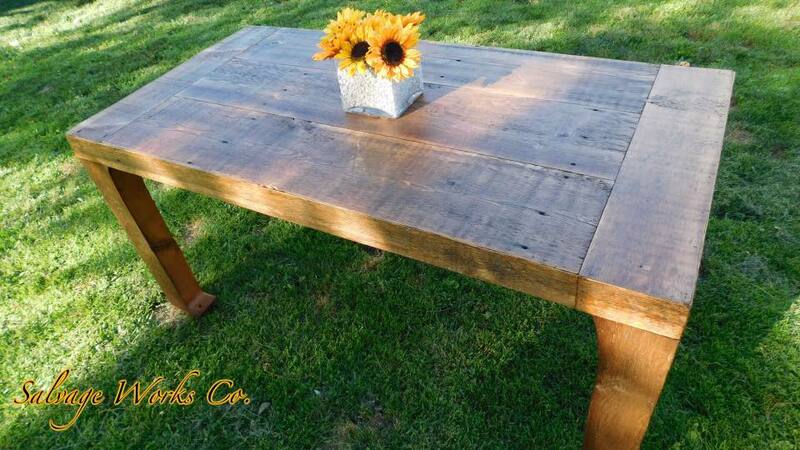 Farmhouse tables are one of our specialties. 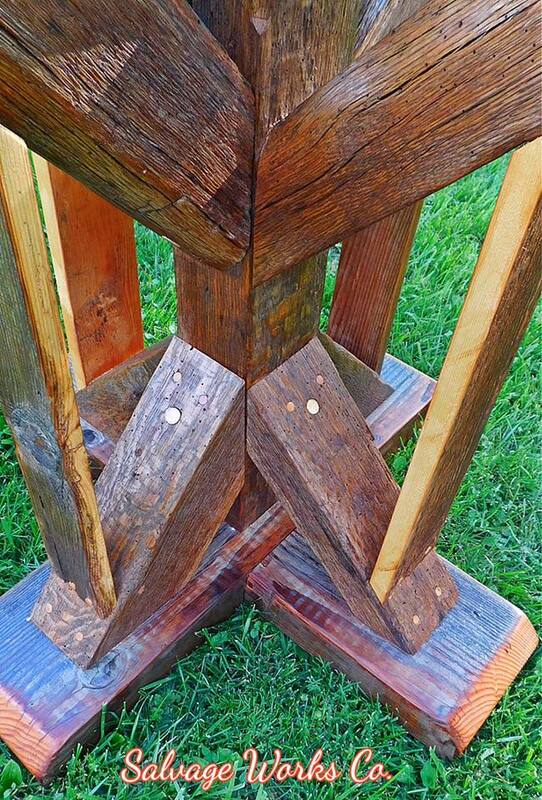 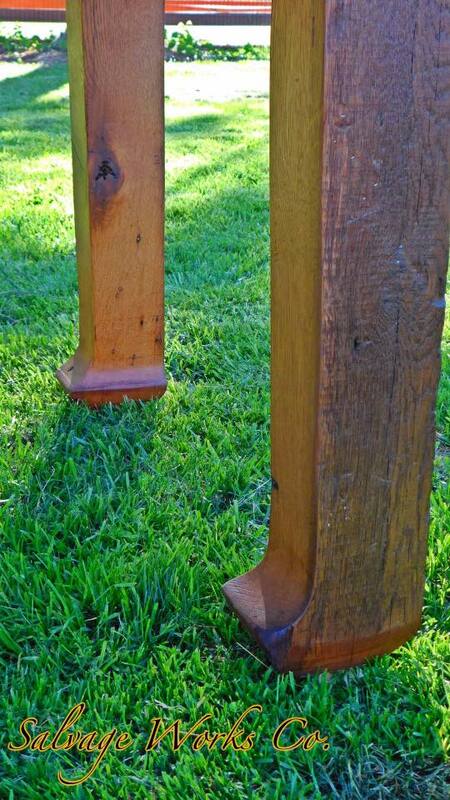 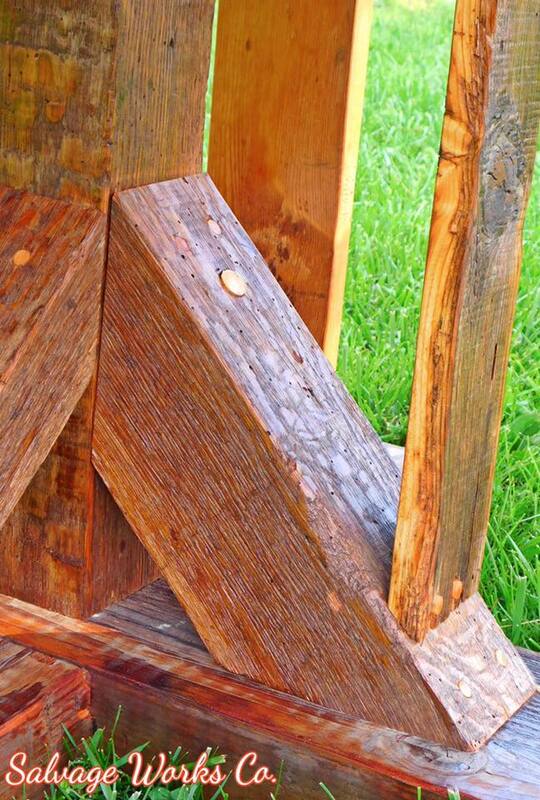 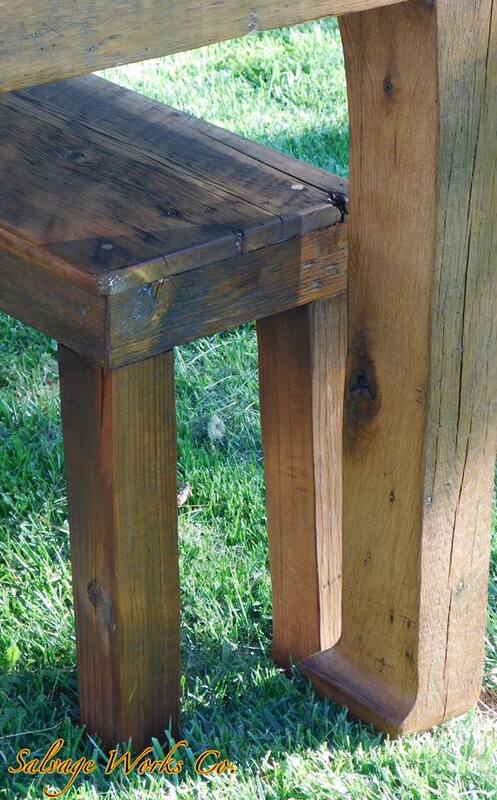 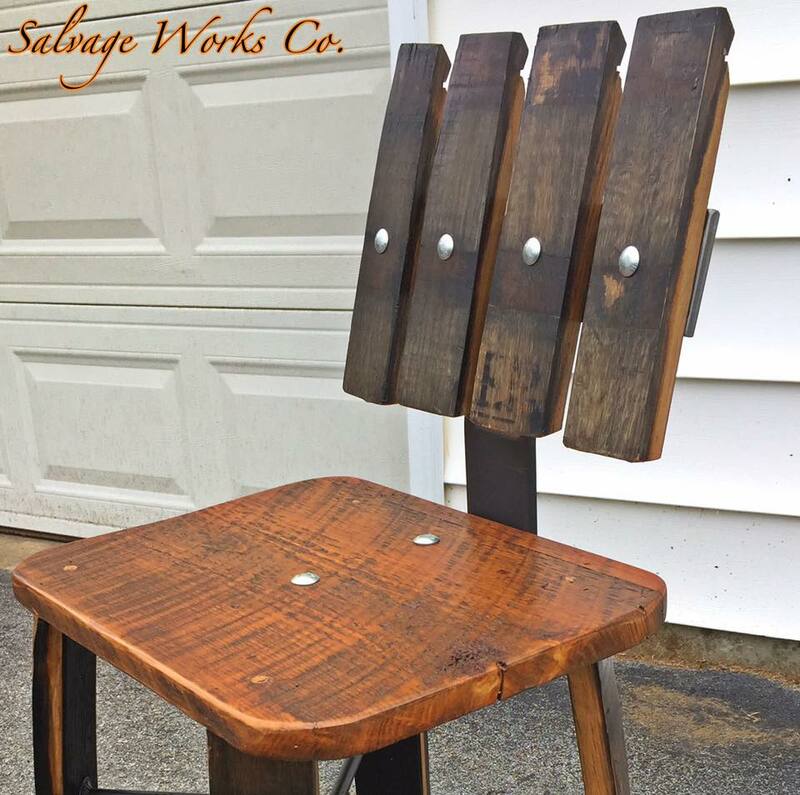 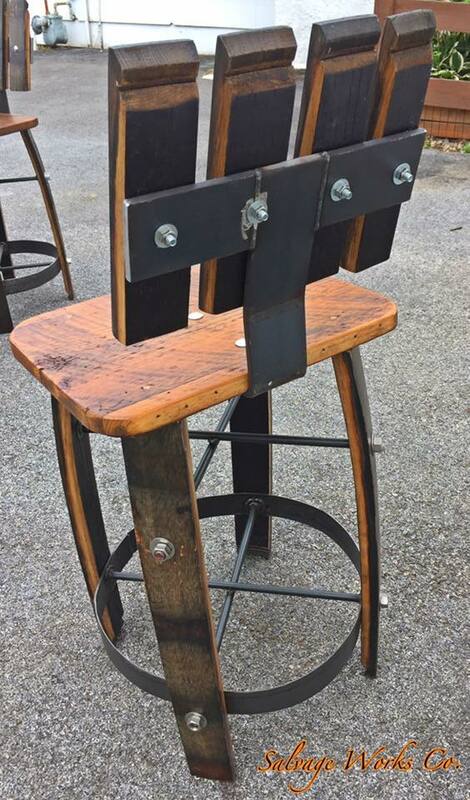 Made from either reclaimed or new wood. 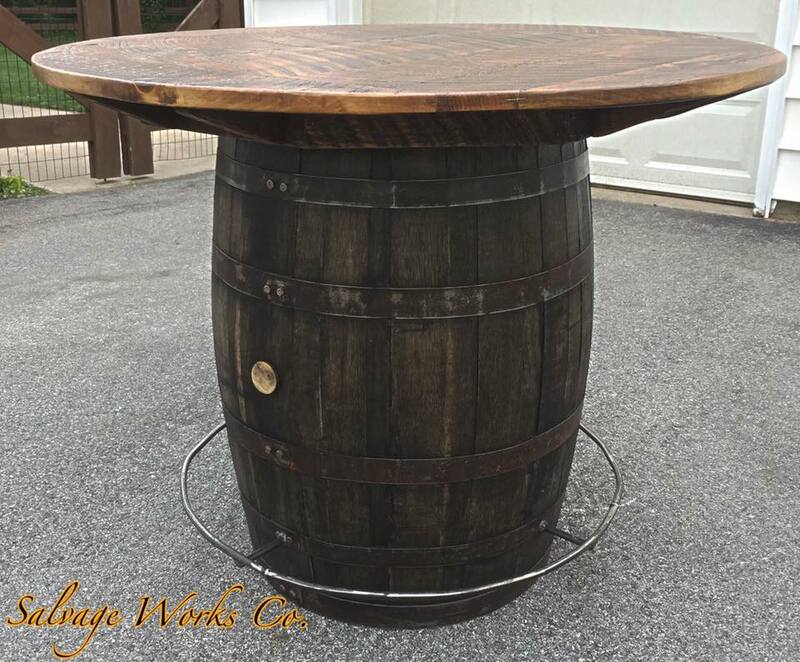 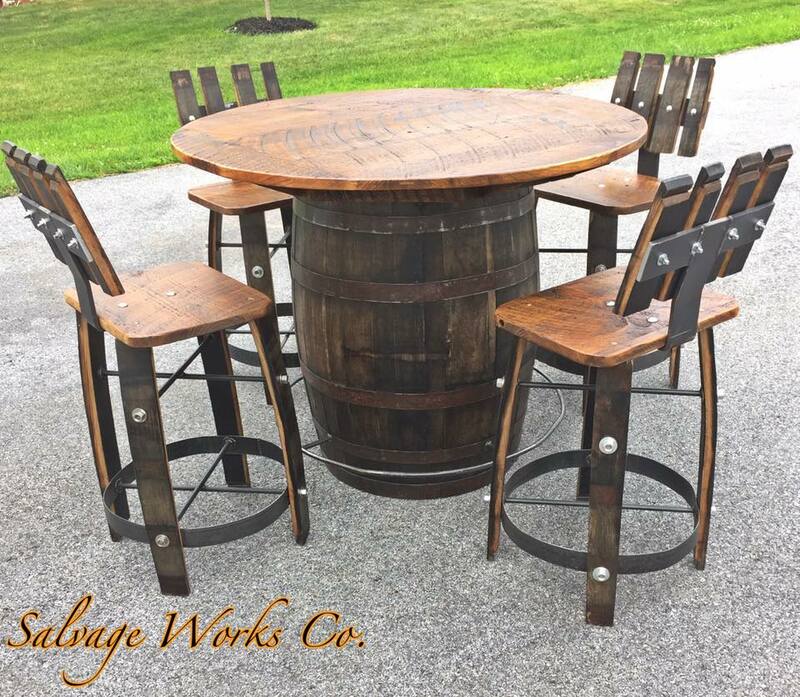 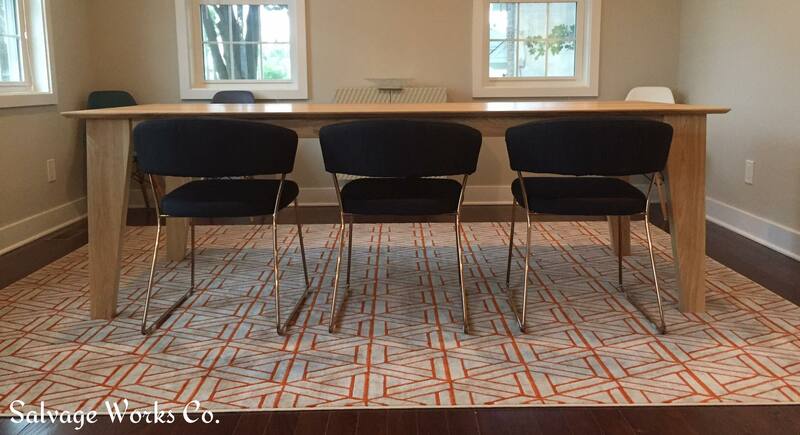 Options include classic turned legs, square legs, trestle base, harvest base, square tables, rectangular tables, round tables. 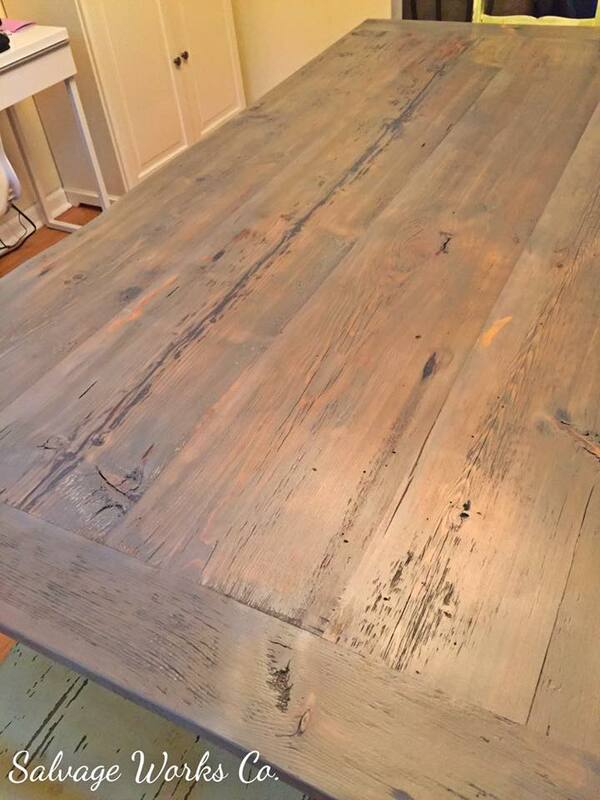 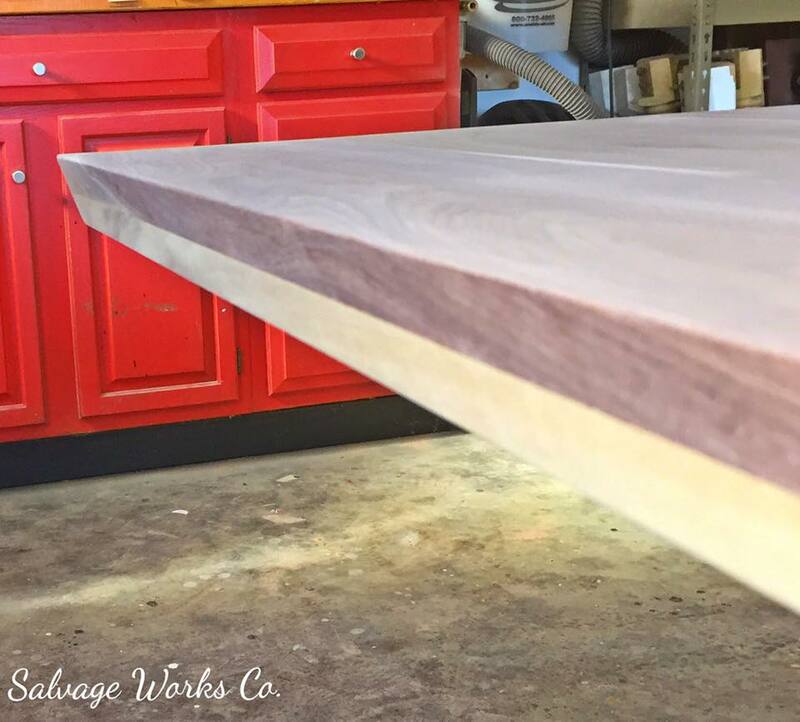 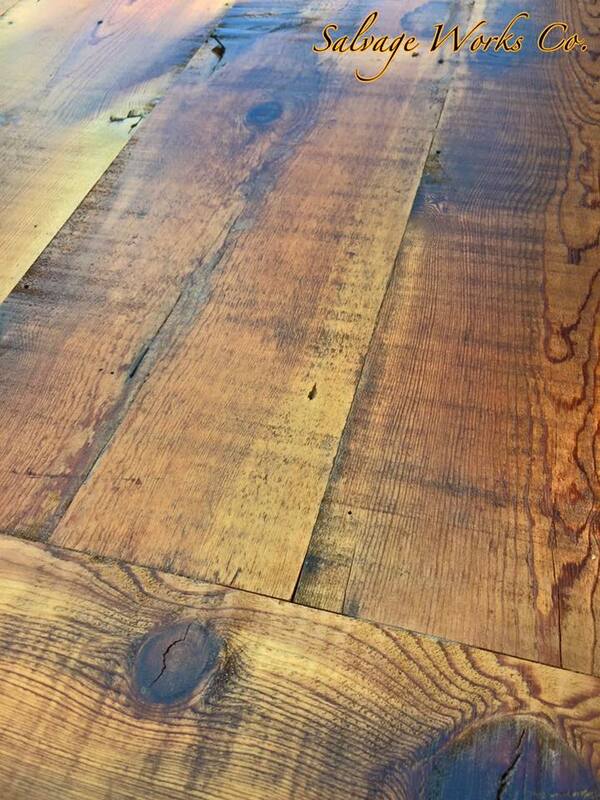 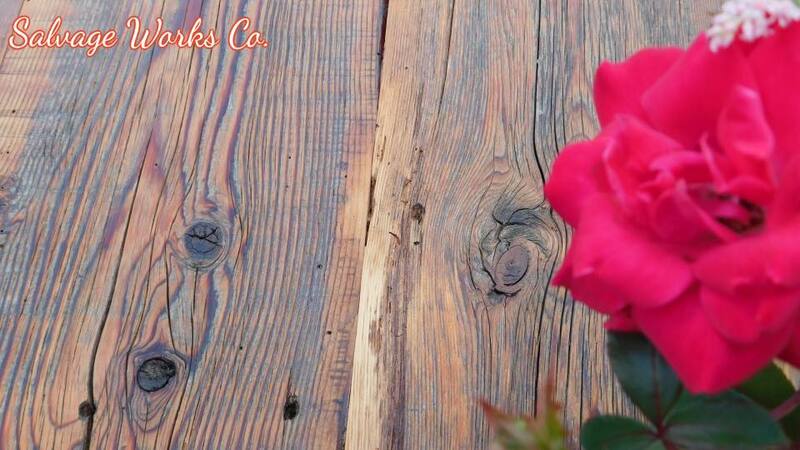 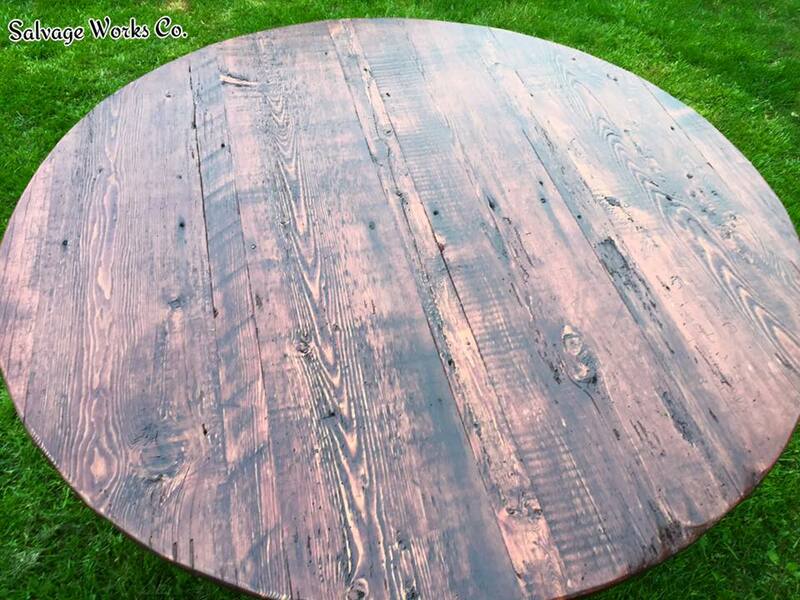 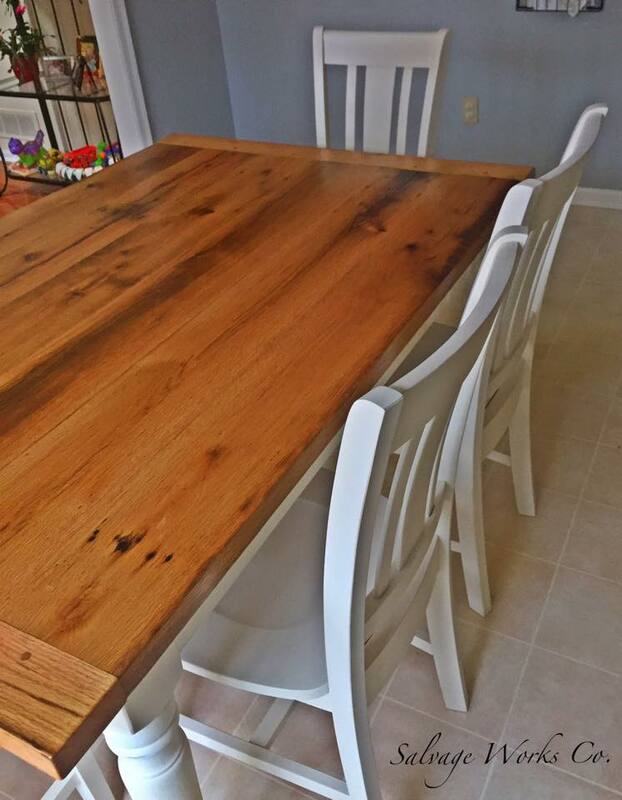 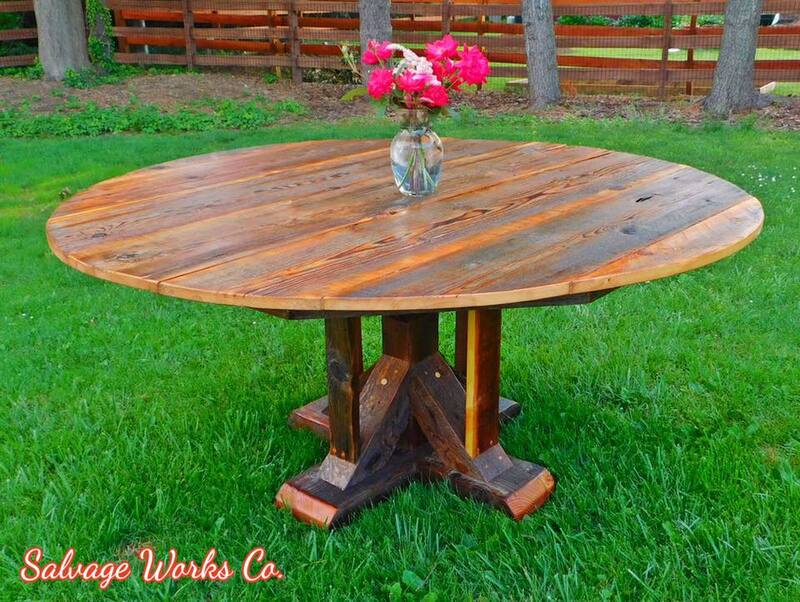 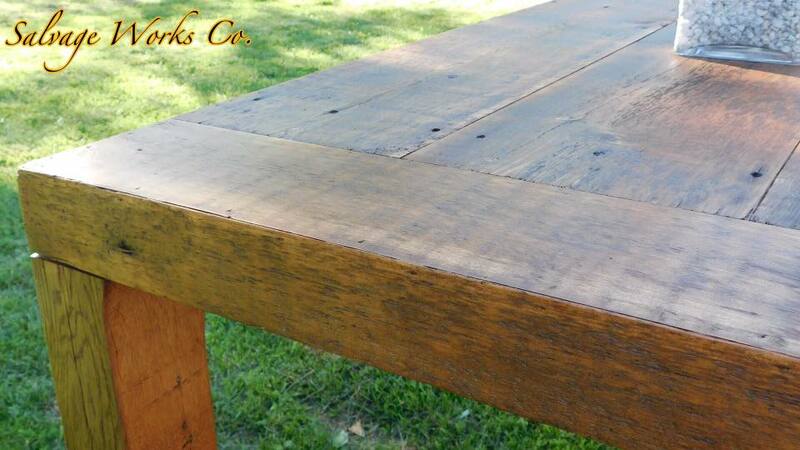 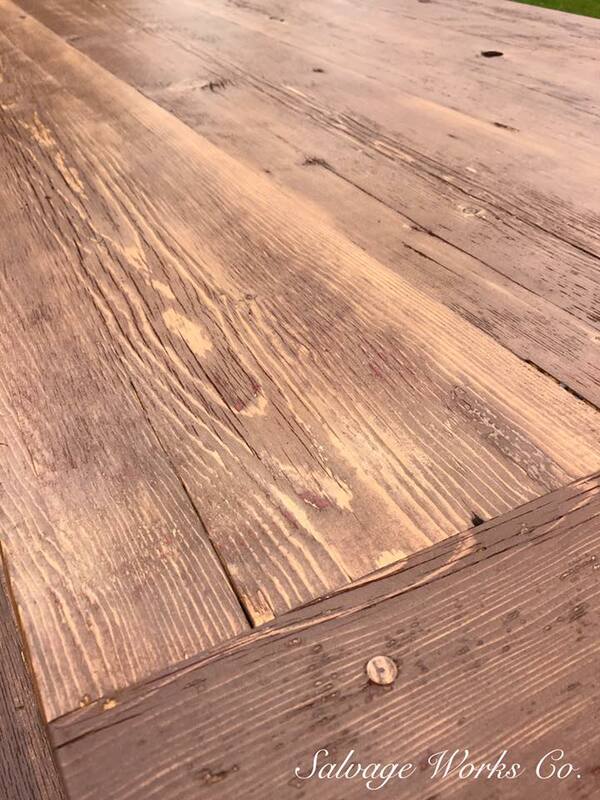 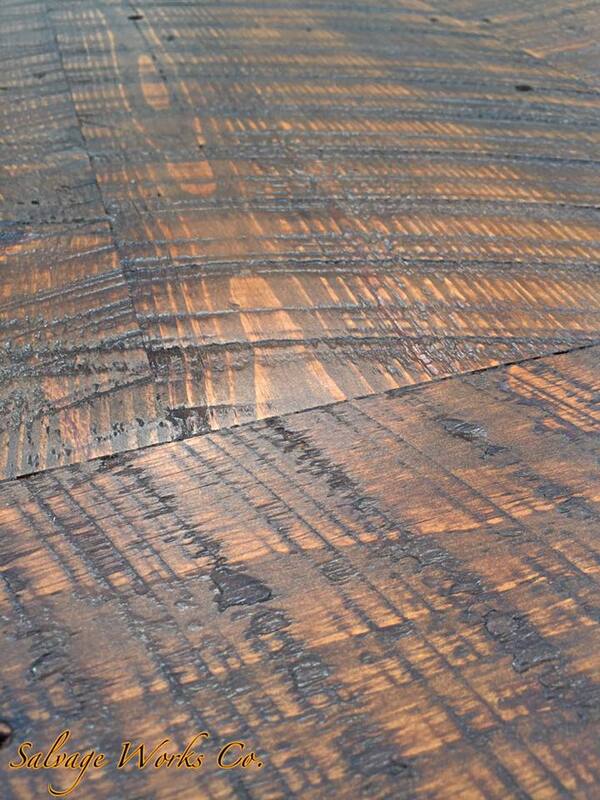 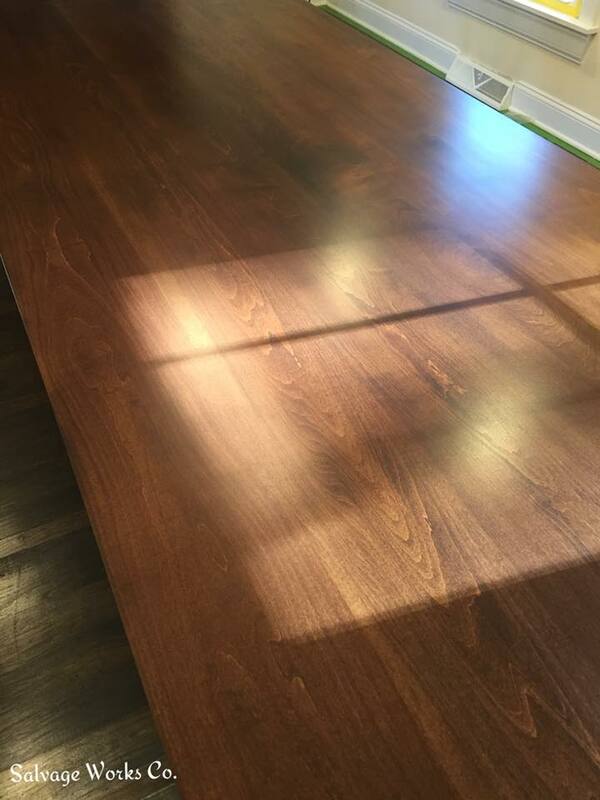 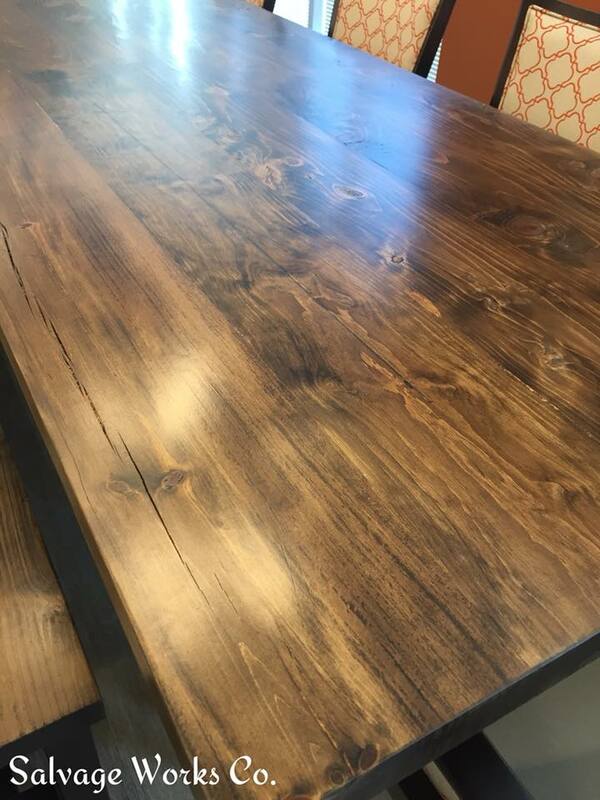 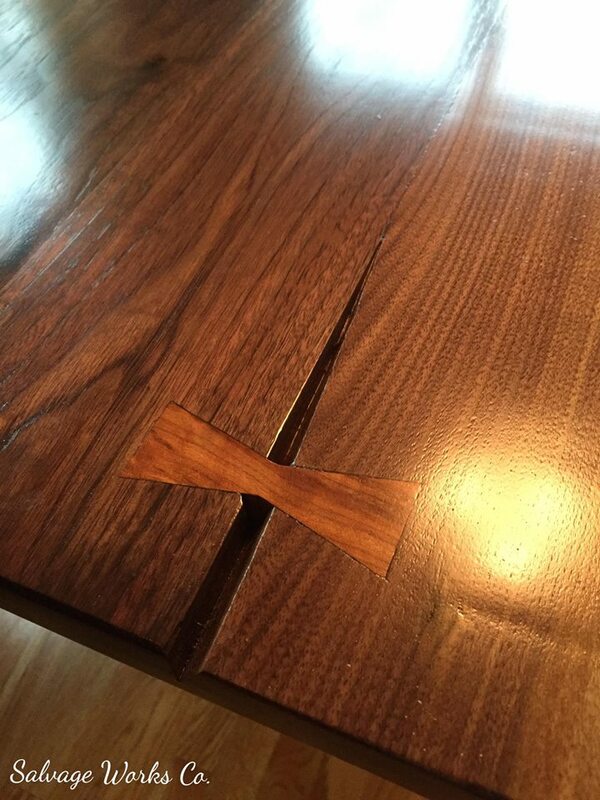 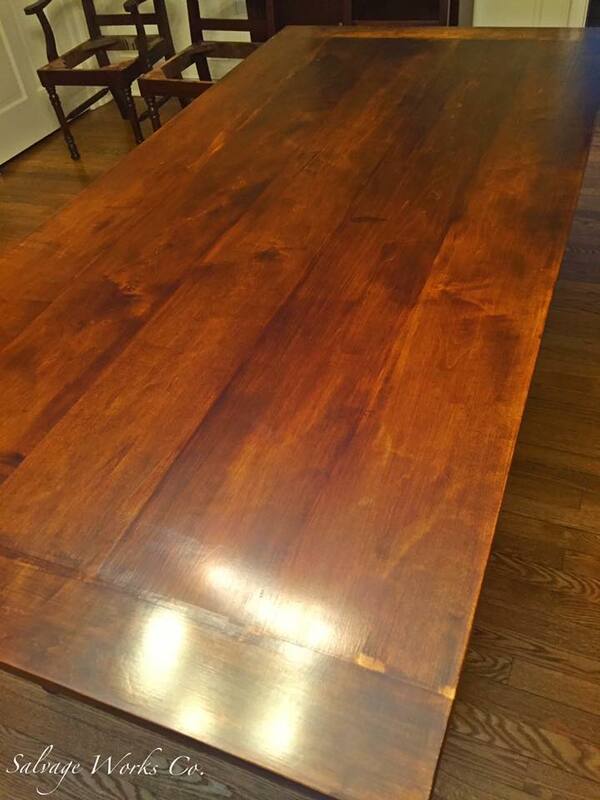 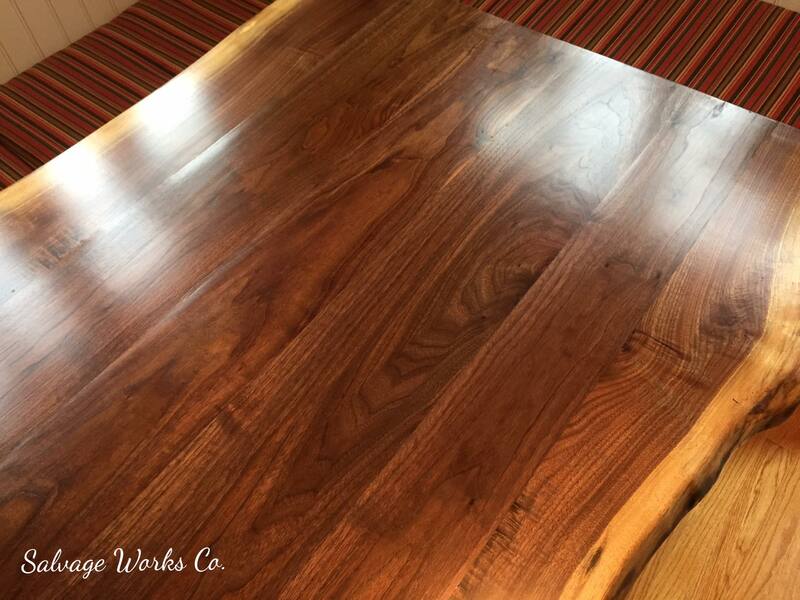 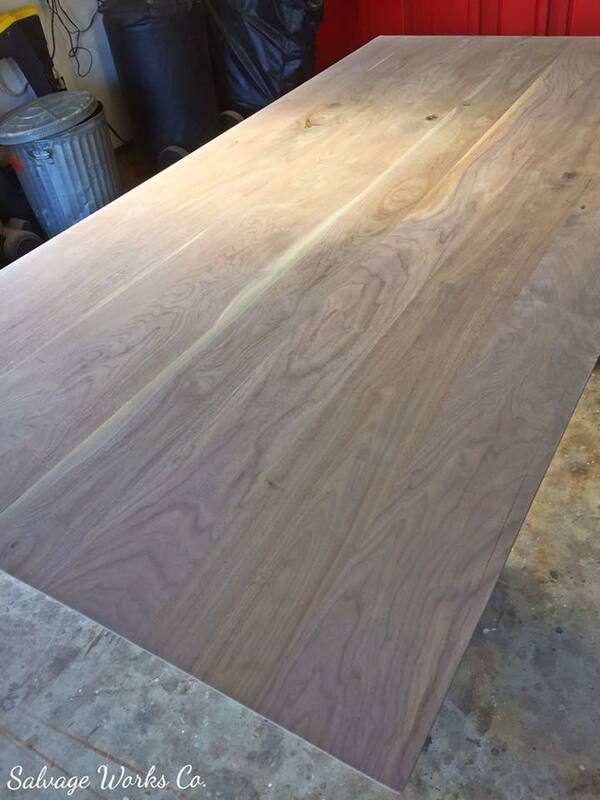 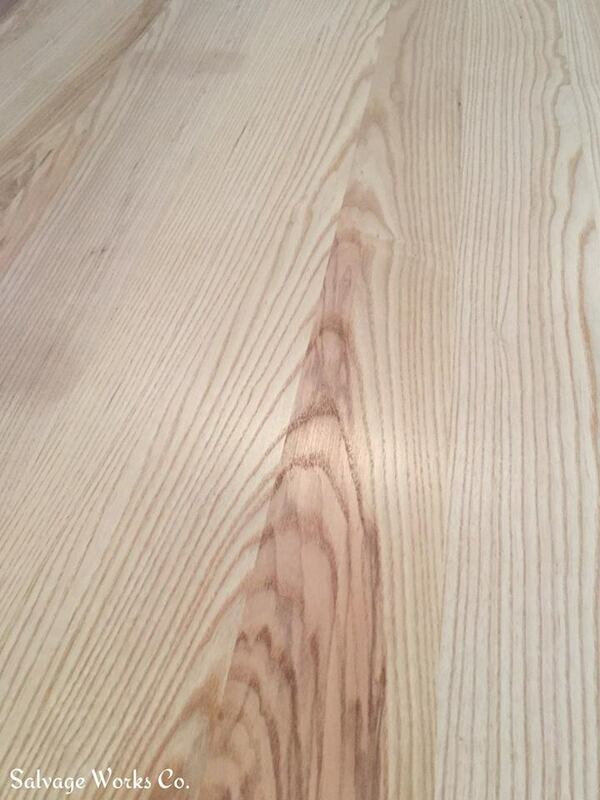 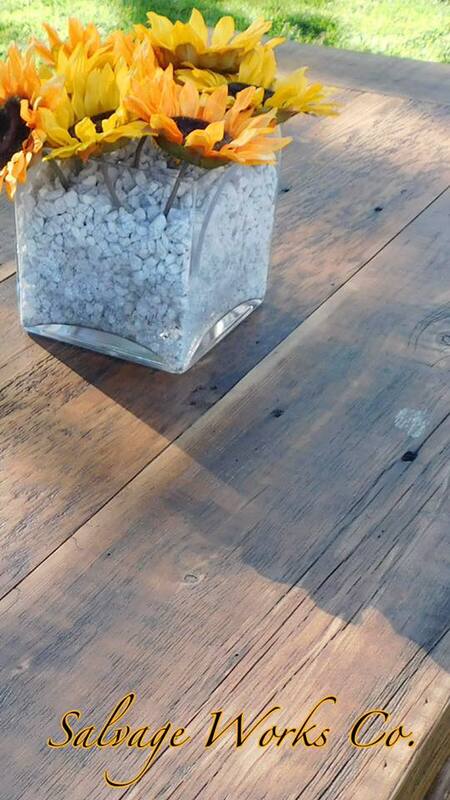 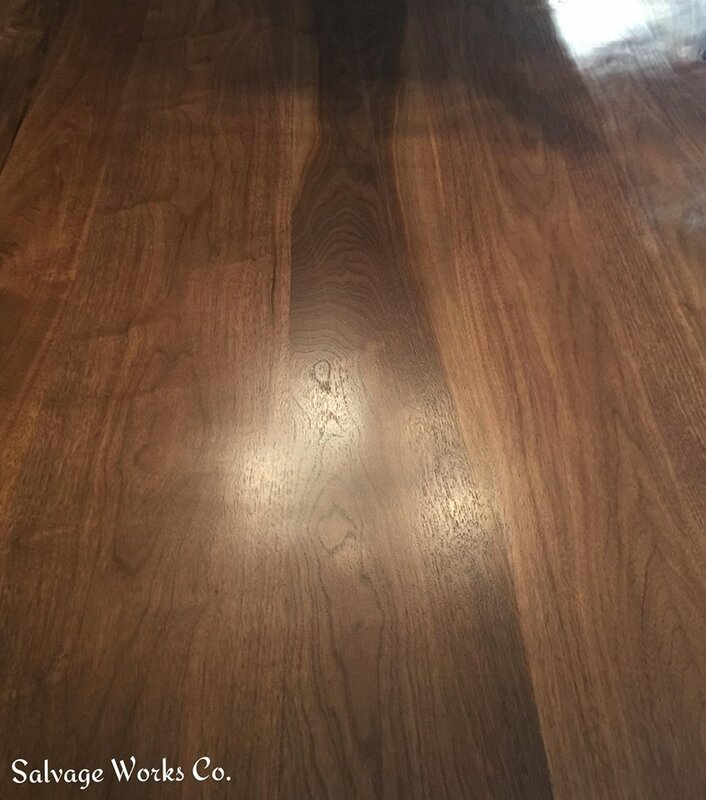 All reclaimed table tops are smooth to the touch, no splinters! 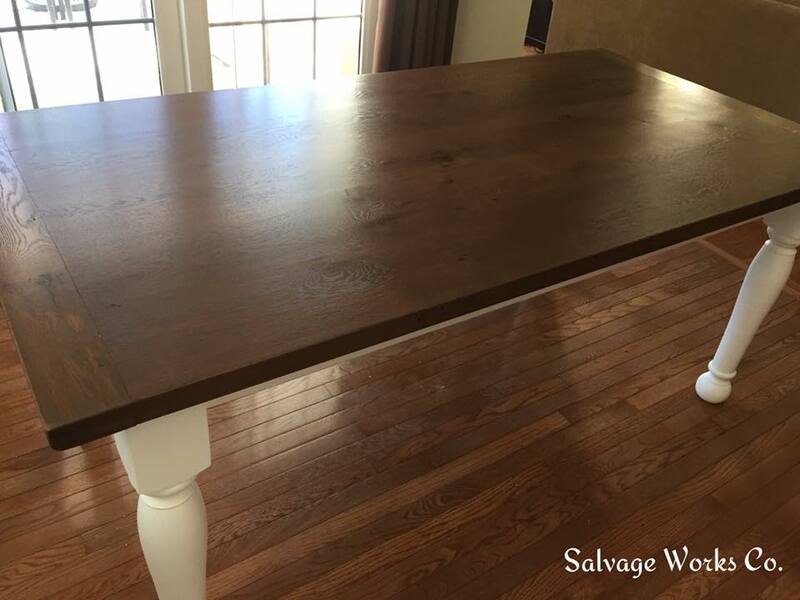 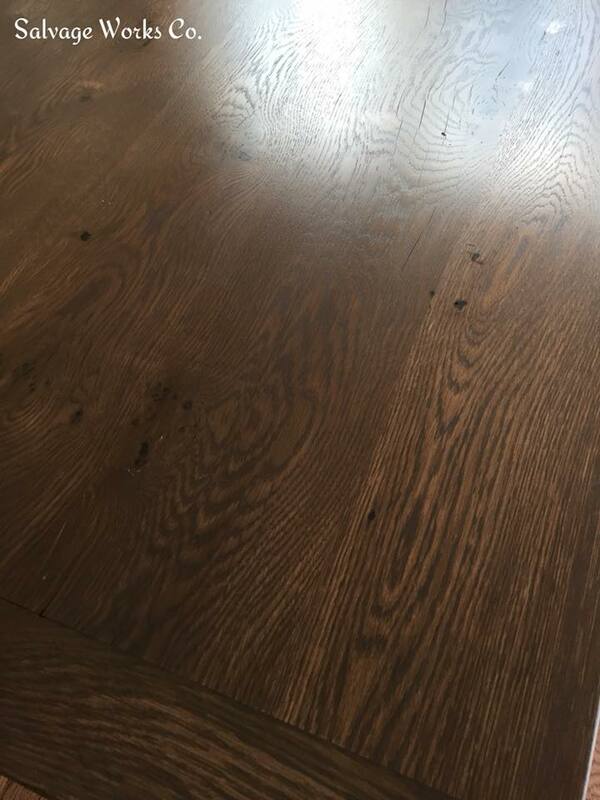 Nail holes and cracks are filled with clear epoxy so easy clean up and no mess! 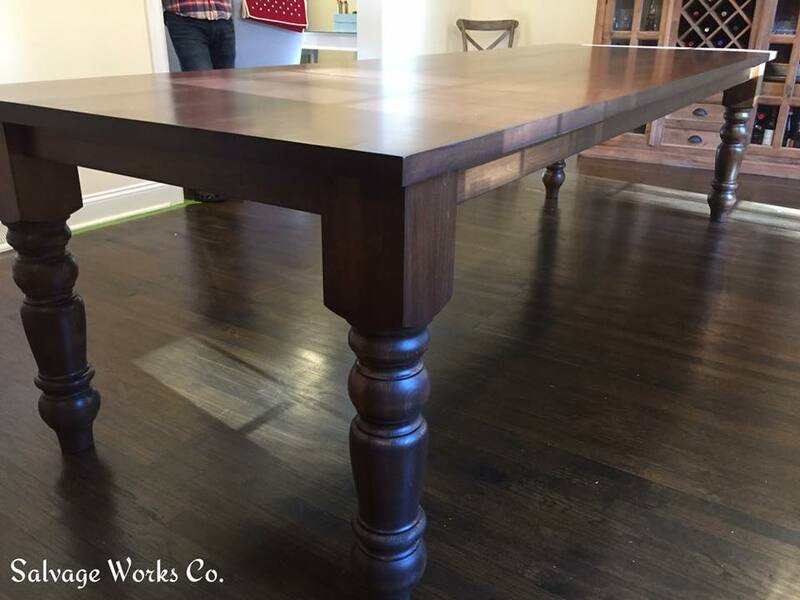 Lets design your perfect table today!